Porst Happy is a genuine early Diana camera, distributed by Porst, a German distributor of camera equipment and photographic suppliers, a mail order house and a retailer that operated from 1919 to 1996. 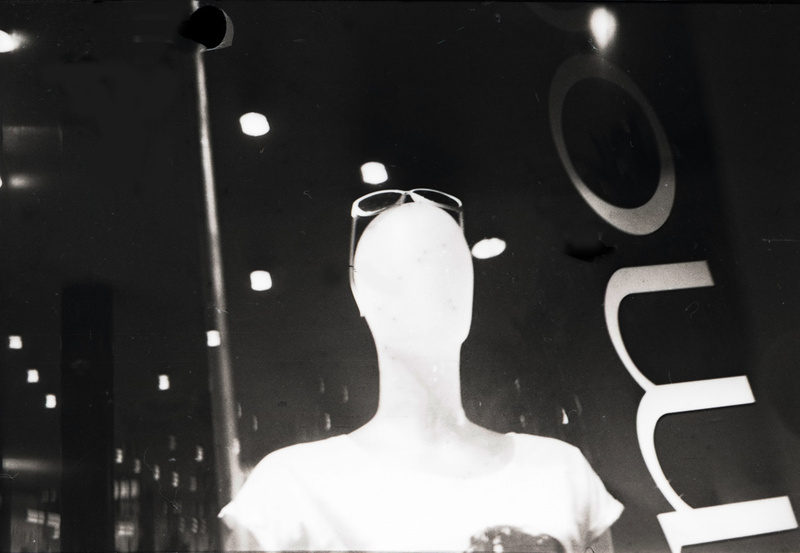 A guilt-free sort of photographic experience albeit somewhat expensive for most people due to outrageous costs of new 120 format film (in most places). I put it up for sale on Ebay, but if it won’t sell then that won’t be a big deal: I’ll just keep the toy for occasional (and intentional) wastage of film. 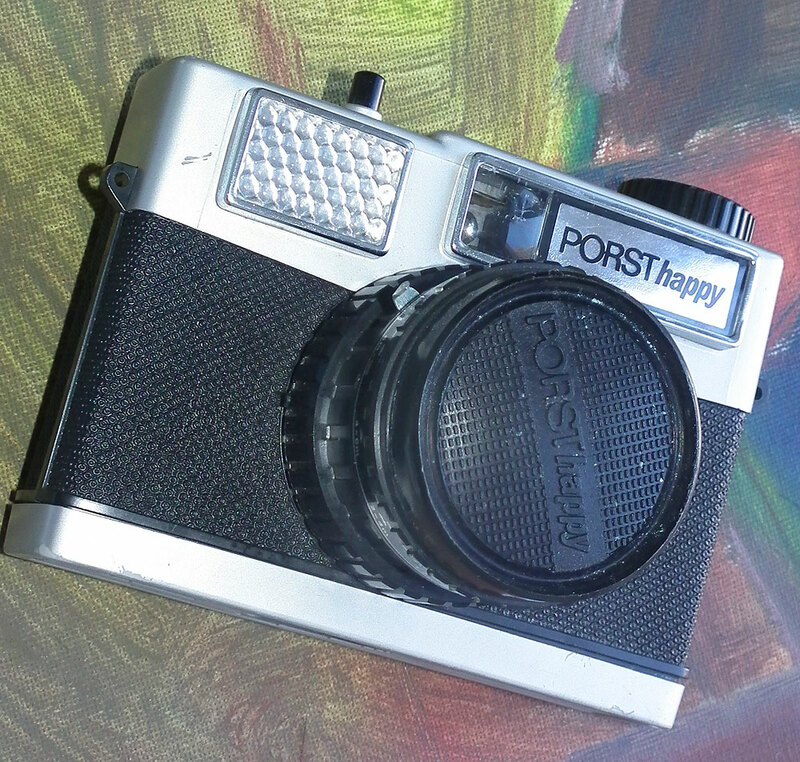 Porst Happy is a conventional early model Diana camera, branded Porst for distribution in Germany. The camera allegedly dates from the year 1953, but I believe that to be an error, and the camera dates from 1963, it has synchro contact and a flash hotshoe. 1/50 seconds – all plastic Film used 120 Focusing with a distance scale 1.2 meters to infinity Focusing scale is in meters and feet Three apertures (symbol settings of sunny, cloudy, very cloudy, I assume the equivalents of 16, 12, and 8) The camera is suitable for taking multiple exposures. click image for larger view, huge scans are of course available. I am going to copy what I wrote in the flickr post although I will add a few more images of the packaging. Here is the look of Svema DS 4 scan (as is) – developed in related Orwocolor chemistry. The experiment began in an improvised manner, I made a Communist salad (meaning I made it without any intent of selling it or leasing it to other human beings who can’t afford it at a usurious rate) which was something of a deficient salade niçoise to begin with that suffered a Mongol or a Germanic invasion or, worse, was liberated and democratized . Messy. The salad was deficient as I had no capers, no olives, and no anchovies to put into as I was supposed to. Non tuna either. Total flop. 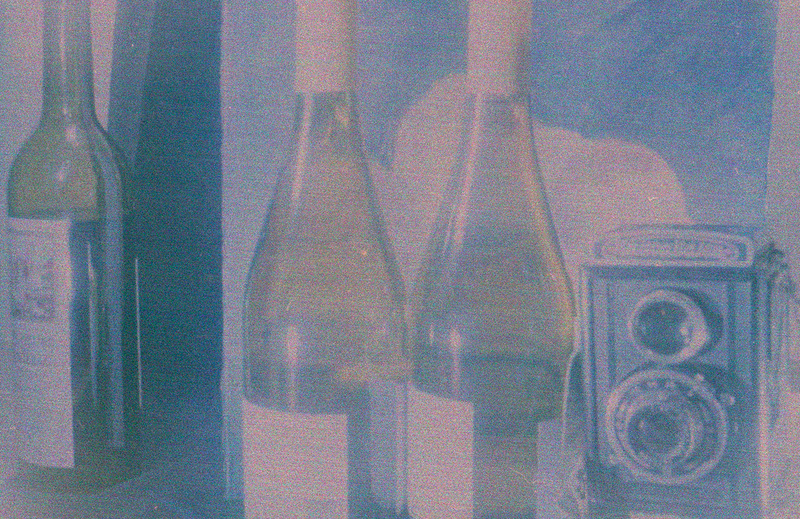 But there were enough colors on the pallet to test this ancient film. This Soviet film (I won’t call it Russian or worse Ukrainian as the only films produced there nowadays are of pornographic variety) was much abused, physically and verbally, in the by gone age when it was made (available to the ungrateful masses which had since then defected to digital en masse). 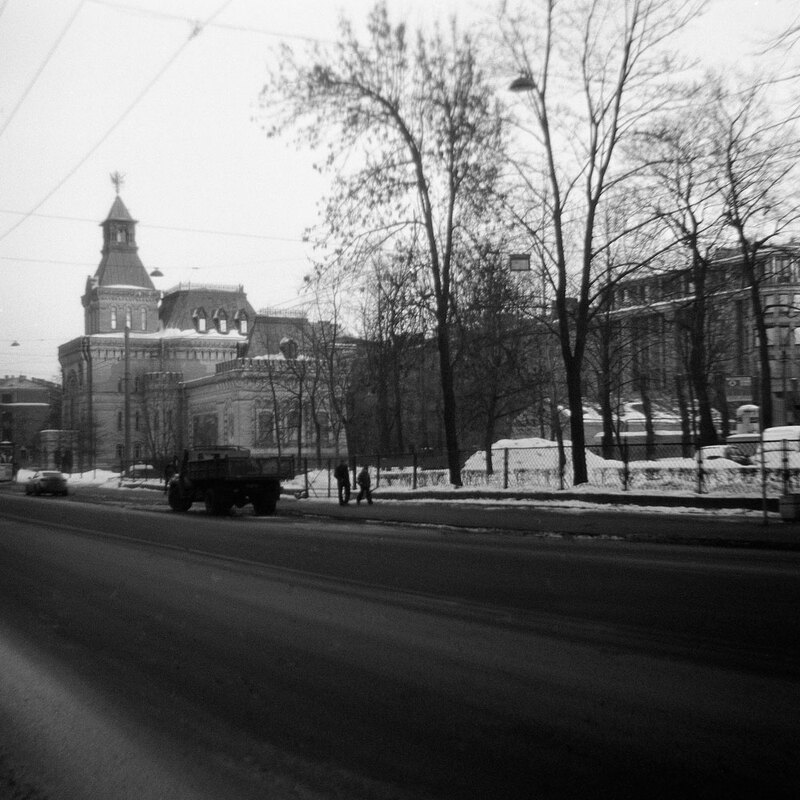 A test of Svema DS-4 film, made in the glorious Soviet Union. A blog post comes soon as a follow up to its relative the Orwocolor. 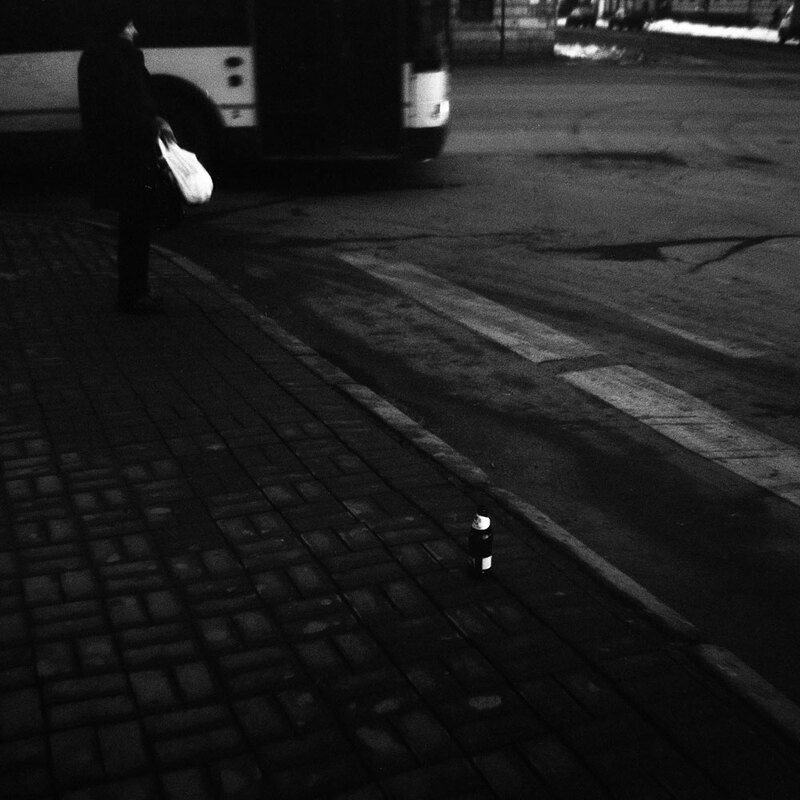 This was the first occasion I shot old Soviet negative film – not that I remember that I had any before. 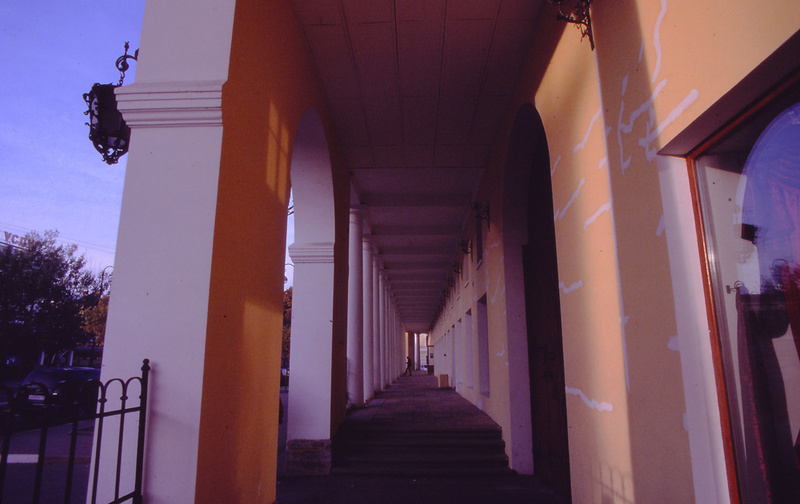 I only have seven 120 rolls in my possession, all at different places, but perhaps would buy a few “bricks” as I happen to like the film quite a lot though not as much as Orwocolor NC19 – though Svema DS-4 could be used for different artistic purposes. It is an unusual film. 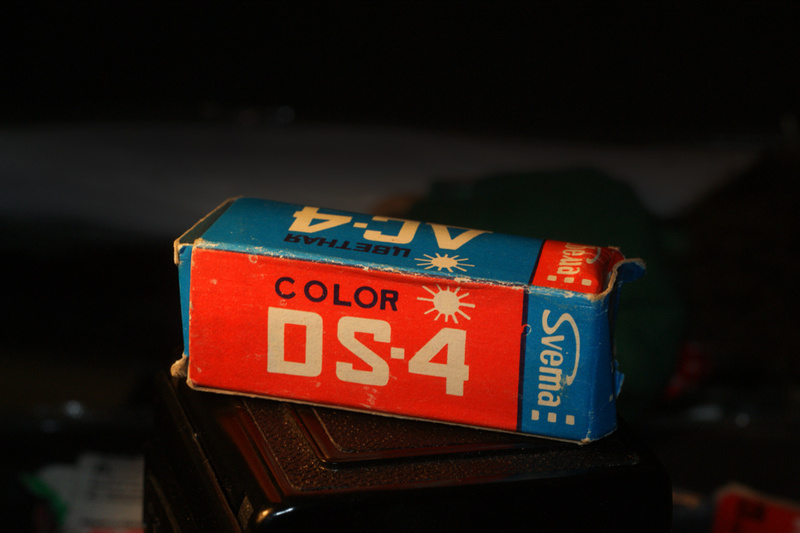 DS-4 was made from late 1950s until 1990 without changes. 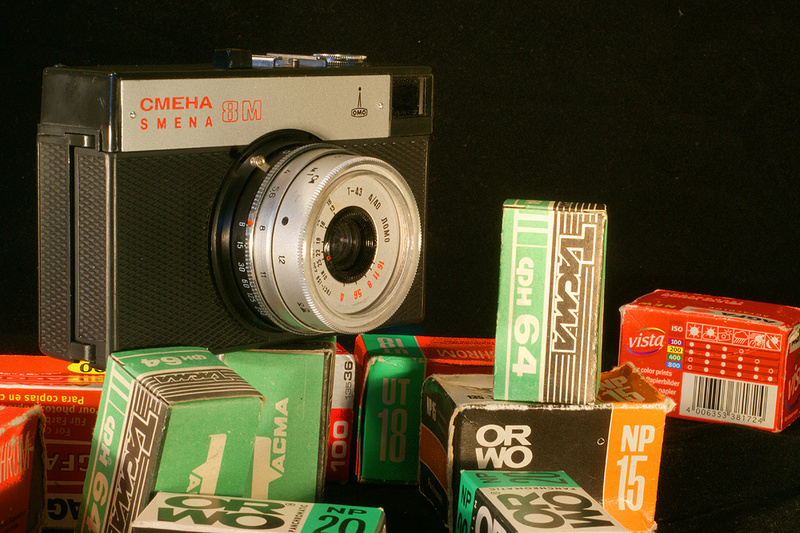 The film cost 95 kopecks per roll (that is less than a rouble) versus – if you were lucky to get – Orwocolor that cost four or five times as much. 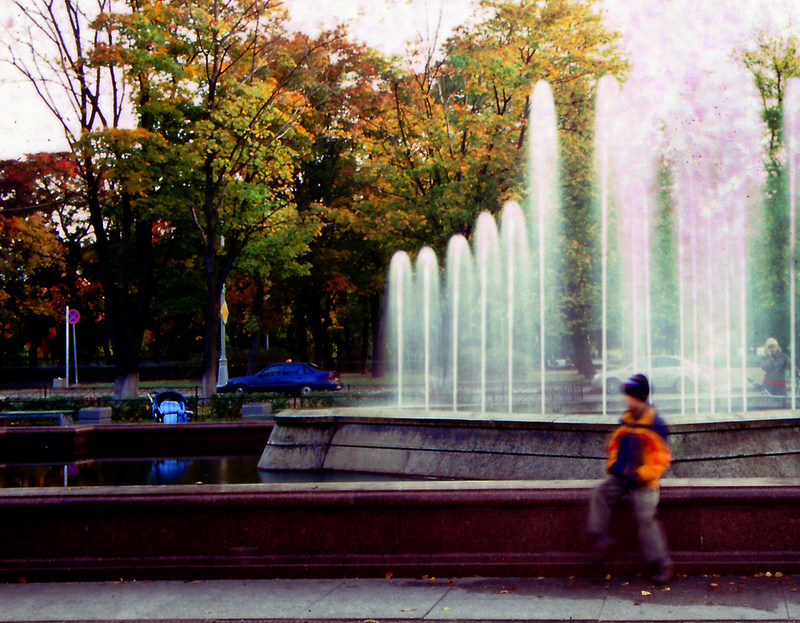 It is essentially the first generation Agfacolor but re-developed in the Soviet Union to work with locally produced dyes. It has had a 1950s predecessor, a Russian version of the Agfacolor transformed to a negative film use (the original proto Agfacolor was a transparency film), that species was called DS-2 but I never saw a specimen alive (in fact I never saw an empty box). .
Scanned as Agfa Optima – actual scan is 6000 x 6000, and I reduce it for the web but not to 1000, so the actual scan can well be seen. Software – Lasersoft light version that came together with my cheapo Canon scanner. 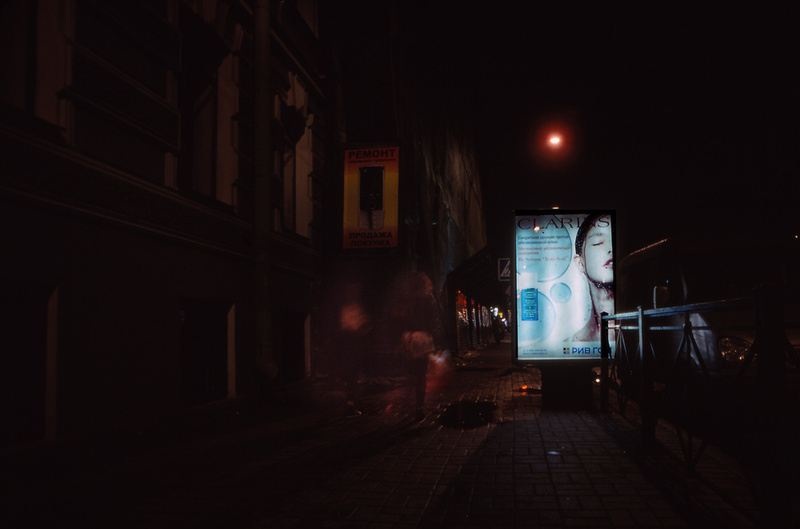 The story of how and why I started shooting Kodachrome – belatedly, in the last months or rather in the month before its demise is in my previous post. 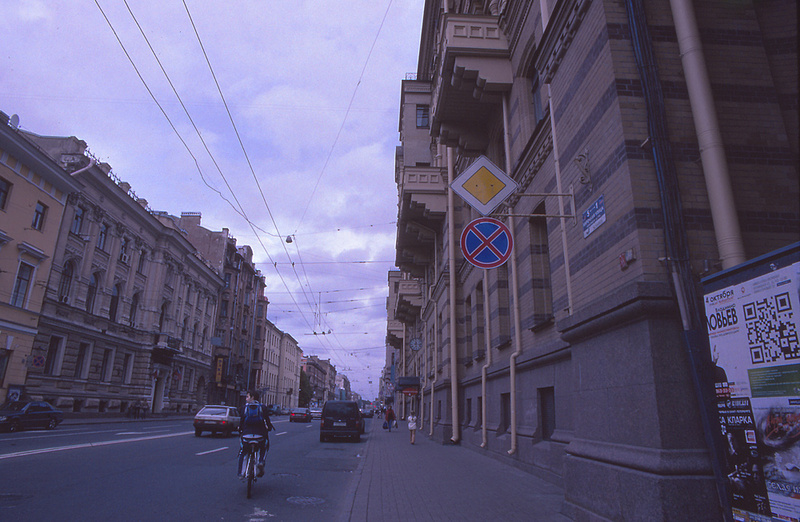 That post also contains pictures of St. Petersburg taken on Kodachrome while I’ll move on. 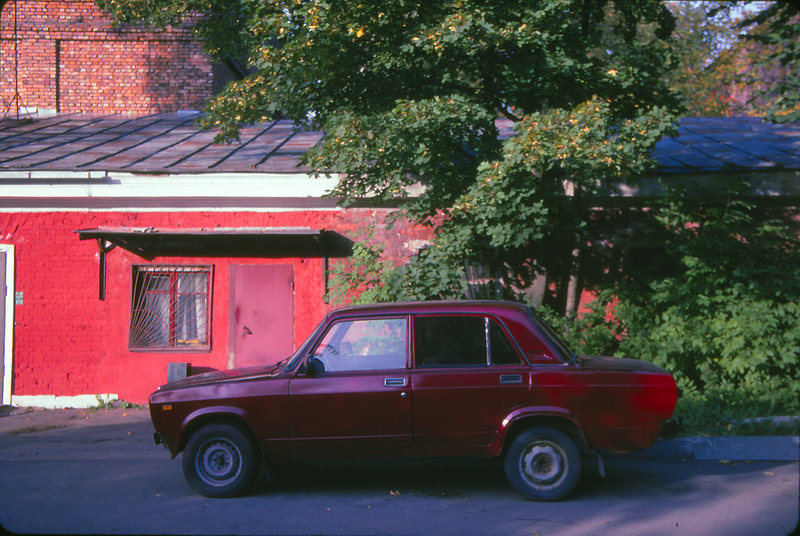 Below are a few more very last pictures of a locale in Russia taken on Kodachrome, late October 2010. Needless to say that I also took pictures of my kids and friends on Kodachrome (that was the point) but being a private person i don’t of course post those never mind I can’t see how they can be of anyone’s interest. Click any image for larger view;. (phonetically Americanized mutilation Chernyshevskaya, Чернышевская). 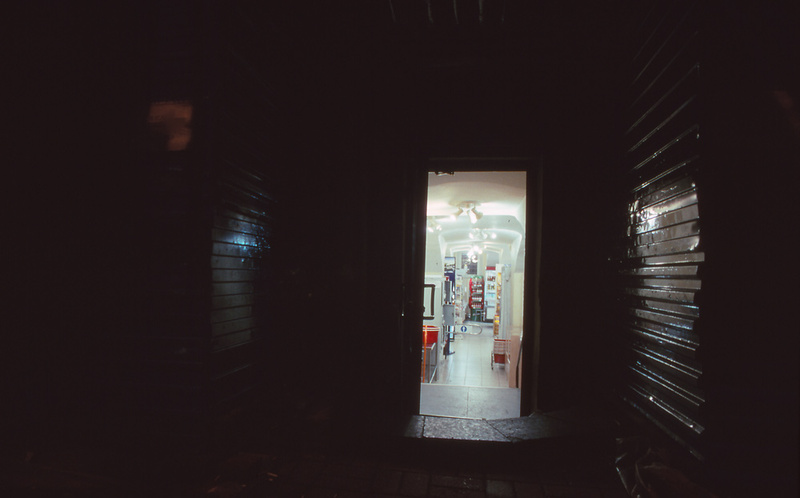 entrance too, close to midnight-. 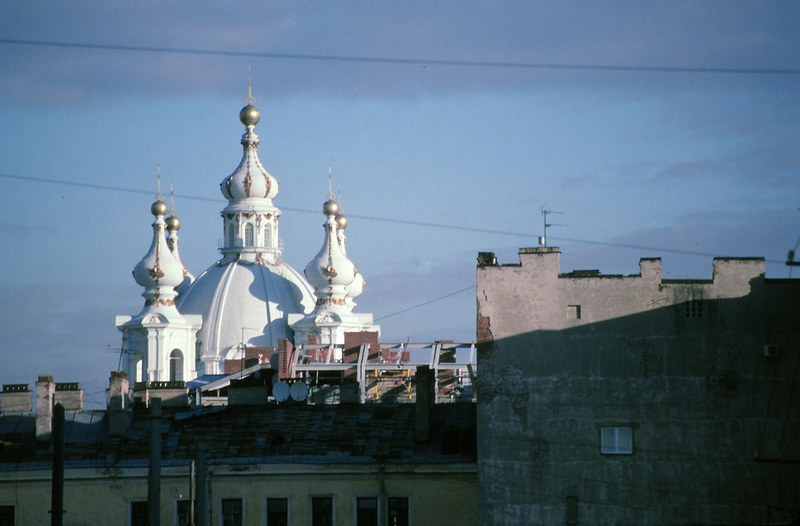 Domes of the Smolny Cathedral from afar, Kodachrome, officially the Cathedral of Our Savior, a baroque beauty of rare quality by any standard, is popularly called Smolny or Tar Cathedral though there is not tar-like about it, the origin of the name is toponymical, it was built next to the works that produced pitch pine tar for shipbuilding purpose in the age when ship used to have sails and were made of wood. The church dates from 1746 but its current late neoclassical appearance with numerous baroque elements is from the late 18 century (foundation laid in 1761, completed 1768) . The Cathedral and the separate Belfry is a collective work of several architects - Giacomo Quarenghi (the belfry) and the Bartholomeo Rastrelli (the main building) shared with later additions by Abraam Melnikov, Alexander Holm and Luigi Rusca. Behind the Cathedral is an ambulance station - my grandmother was born in Petrograd in 1918 and worked first as a nurse during the Leningrad Siege and after getting her doctor's diploma in 1945 as an ambulance doctor well past her retirement until 1990. Somewhere in Kronstadt (evil Americans and their helpful Russian idiots spell it phonetically as KronsHdadt), anyway these are ruins of apparently 19th century buildings that probably belonged to the navy. 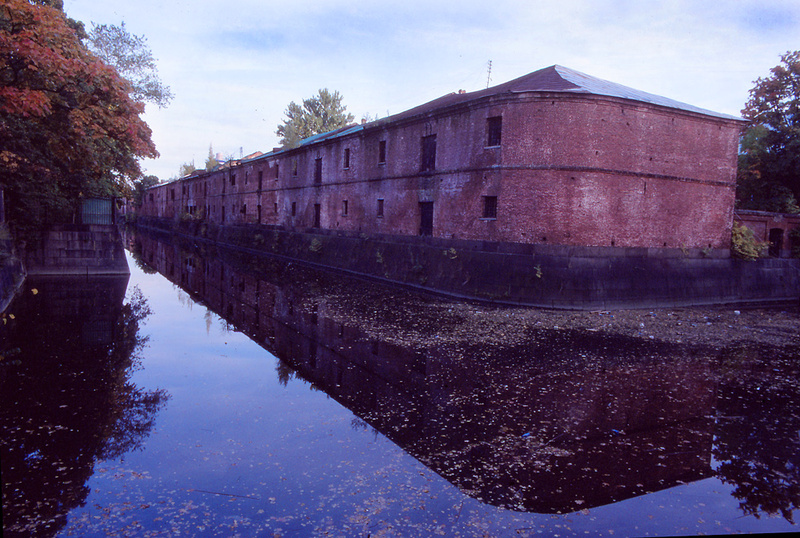 Kronstadt Kronshtadt on Kodachrome - 18th century warehouses or packhouses and old navy canals where tall ships were repaired equipped or rigged (not like American elections though) and there are ammunition, rope, ship pine tar and other stores. In state of beautiful decay. 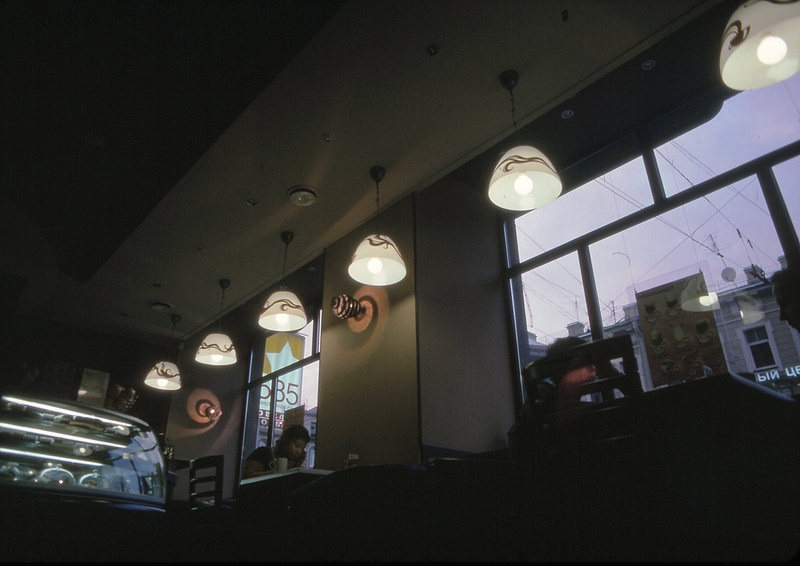 This is the first of planned 10 or 12 Kodachrome-related posts, each will display roughly 10 Kodachrome images. I wrote this on December 30 but apparently did not publish the article (New Year Eves tend to be hectic). 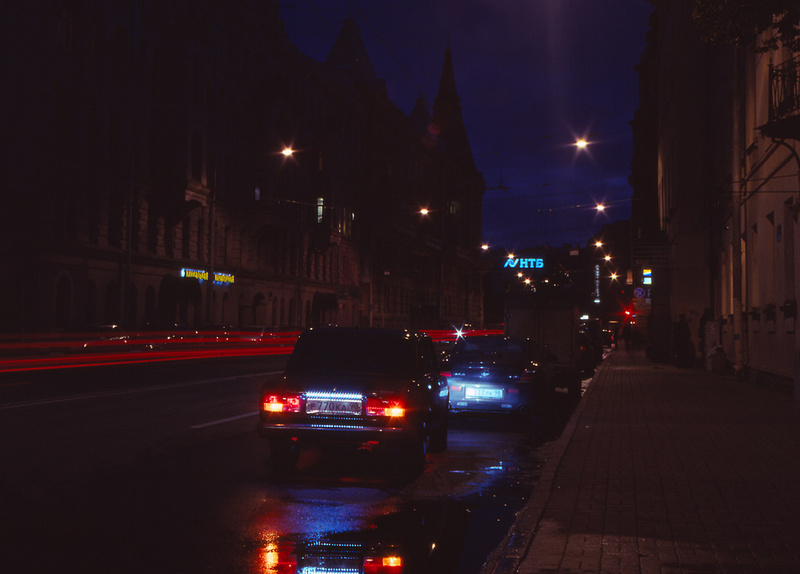 The photos below were made with Zenit E camera (Kodachrome 64) and old Minolta SLR (Kodachrome 200). 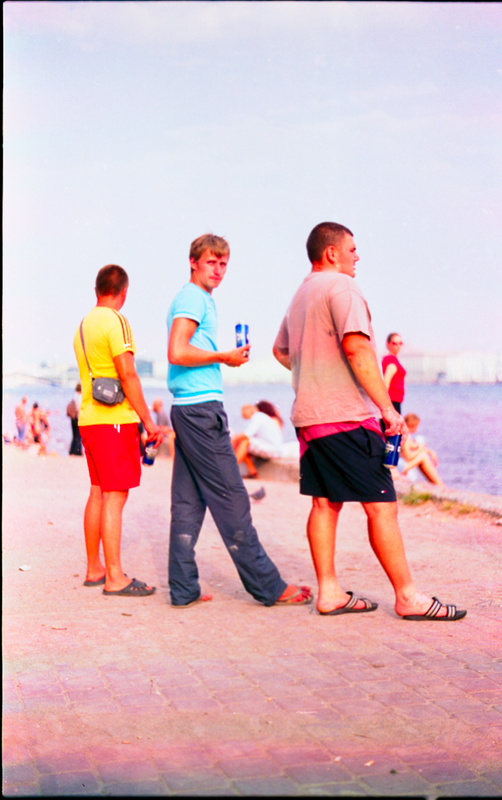 This first batch consists of 10 photos of St. Petersburg taken in immediate vicinity of my St. Petersburg home. Click the image for a larger version (contact me if you need really huge files for whatever reason). 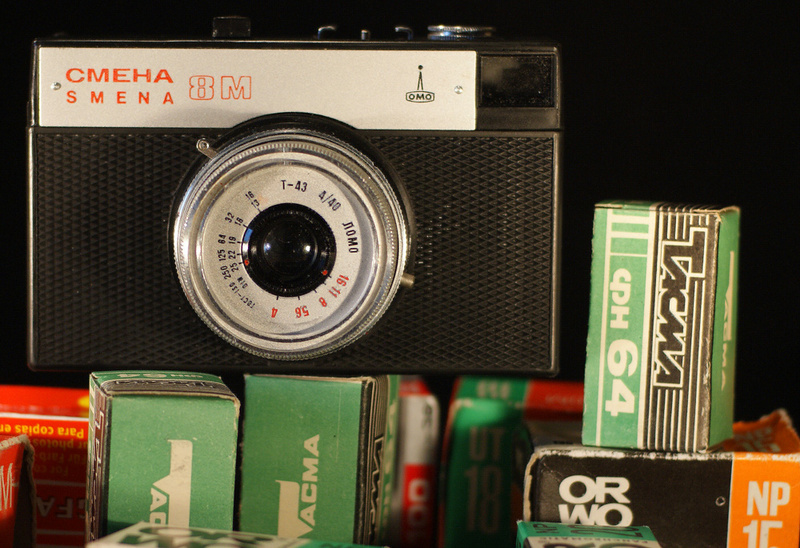 Today is the day Kodak turned off Kodachrome’s life support. 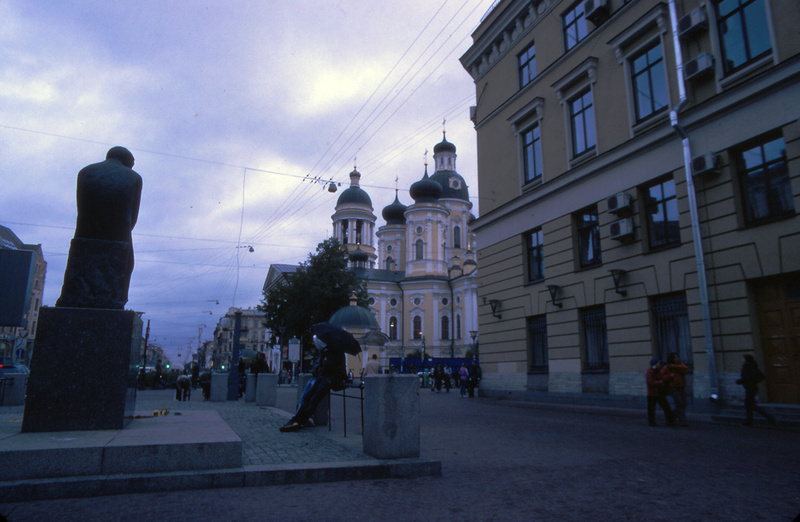 St. Vladimir Square (Vladimirskaä Ploşad', Владимирская площадь, Vladimirskaya) Kodachrome St. Petersburg (Autumn 2010), Russia - baroque St. Vladimir Cathedral and (ugly) Dostoevskiï (Dostoevsky) monument. Dostoevskiï lived about 200 meters to the right from this spot. On December 30, Kodak or rather its subcontractor Dwayne’s Photo Lab in Kansas, USA, officially stopped processing Kodachrome. A few of my first and last Kodachrome rolls were made for the US market and the rest was sold in Europe. US-market Kodachrome came back as if it were processed by Dwayne’s (well, as it was), each film in a plastic box with Dwayne’s label on it while the film that was sold in Europe came in original-yellow Kodachrome packaging, each slide frame numbered and bearing Kodak logo. Although the official date of Kodachrome’s demise is December 30, 2010, it reportedly continued to live for almost three weeks a while after its death. Apparently an avalanche of film engulfed Dwayne’s Photo in the last weeks of November 2010 (I think the shutoff date was December 26) and the company kept processing film until January 18, 2011, according to Kodachrome project’s blog from December 26th to 1:36 PM on the 18th (of January), Dwayne’s Photo processed 20,564 rolls of 35mm, 3,565 of 8mm and 57,655 feet of 16mm Kodachrome motion and still picture film. While for US-born Americans Kodachrome was something of a cultural icon, for me it did not mean much. I knew that in the past there were other color film processes like the Franco-English Dufay color, French Autochrome and Autochrome based Alticolor, beautiful Agfacolor that preceded Kodachrome by 3 years, never mind that on the smaller scale level there were a few Russian color photography pioneers from the turn of the century era like brilliant Sergueï Prokoudine-Gorsky (in US publication his name also gets spelled as Sergei Prokudin-Gorsky) who left a workable though complicated additive color process along with thousands of color photographs illustrating daily life of the entire Russian Empire which he took well before (first!) world war and Bolshevist coup which brought it down. 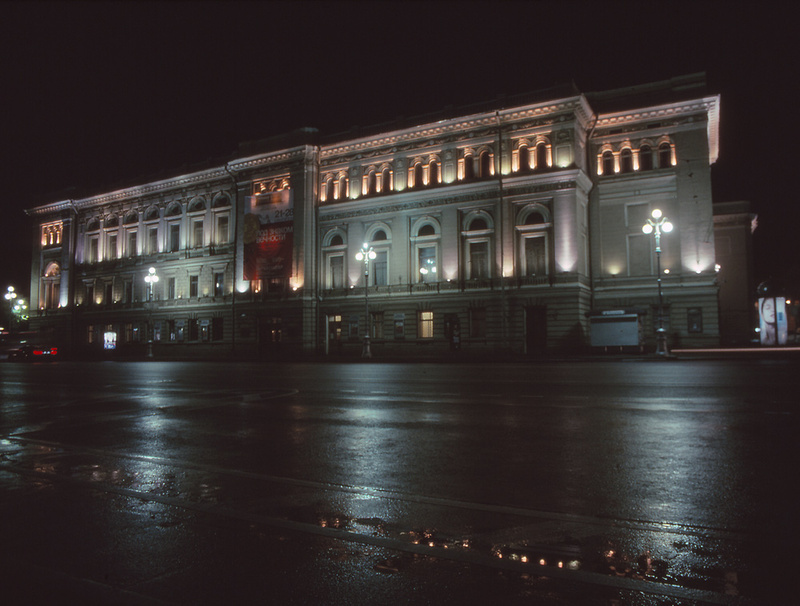 I will publish all of Prokoudine-Gorsky /Прокудин-Горский photographs in a separate gallery one day; those pictures are amazing and they are all in public domain . 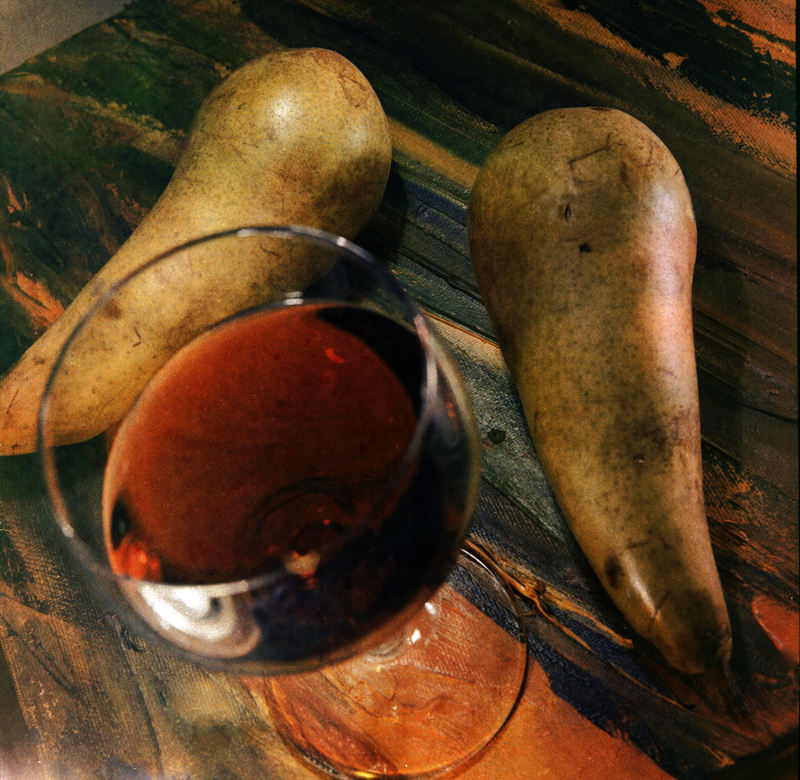 Prokoudine-Gorsky’s photographs are surreal. It is a time machine which for me is somewhat scary to use, I don’t like looking at those images, – I would rather not see how our past looked like. 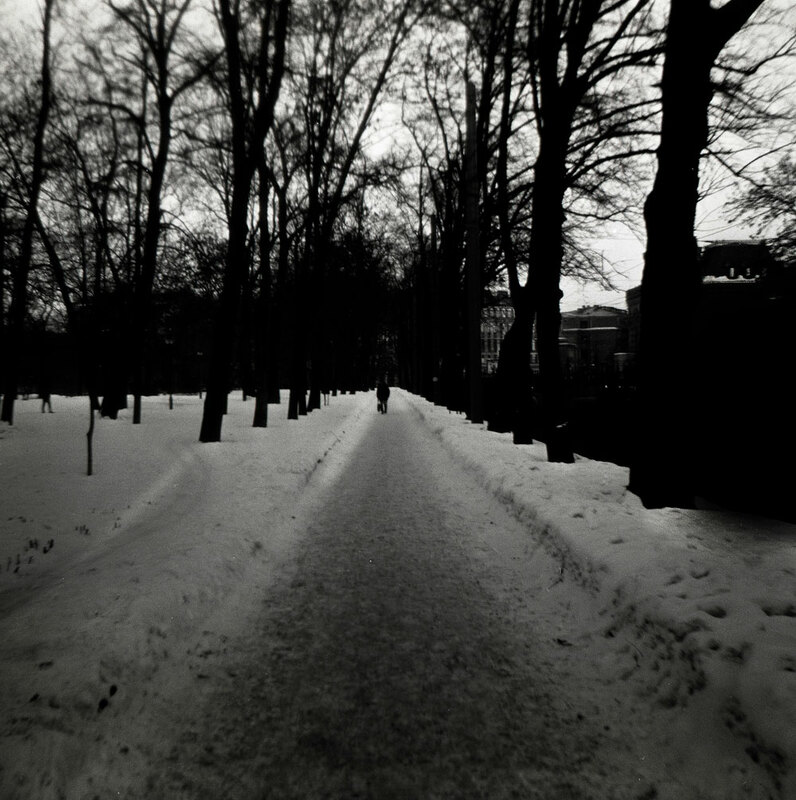 if there is any I would prefer to have it in monochrome. Yes I’ve heard about Kodachrome and its commercial success in the 40s and 50s but I thought that Kodachrome was so overwhelingly triumphant against its European competition primarily because by 1945 entire Europe – from Atlantic almost to the Urals – was destroyed and the USA got healthy and rich by sucking all the juices from the rest of the planet. Something it still does though markedly less successfully. There are many claims of Kodachrome’s technical superiority. That’s a matter of taste but yes, I too prefer the look of Kodachrome to say Agfacolor. Now – after having been digital user for quite long – I realize that one of film’s greatest attractions is its diversity. Every film has its own characters, temperament, unique shades and different colors (if it is color film) while with a digital camera you are stuck with one boring sensor or the future of churning out Photoshop forgeries. After the United States dressed warmly in a NATO’s fig leaf unleashed a humanitarian war of aggression against Yugoslavia (http://www.globalresearch.ca/index.php?context=va&aid=23914) in 1999 I stopped buying products made by very large American corporations. That it turn meant that after 1999 I only bought Fuji and Agfa films and then soon went fully digital which in practical terms meant going Japanese (I got my first digital camera in 1998, it was a Sony Mavica that recorded fuzzy images on a 3 1⁄2-inch floppy). 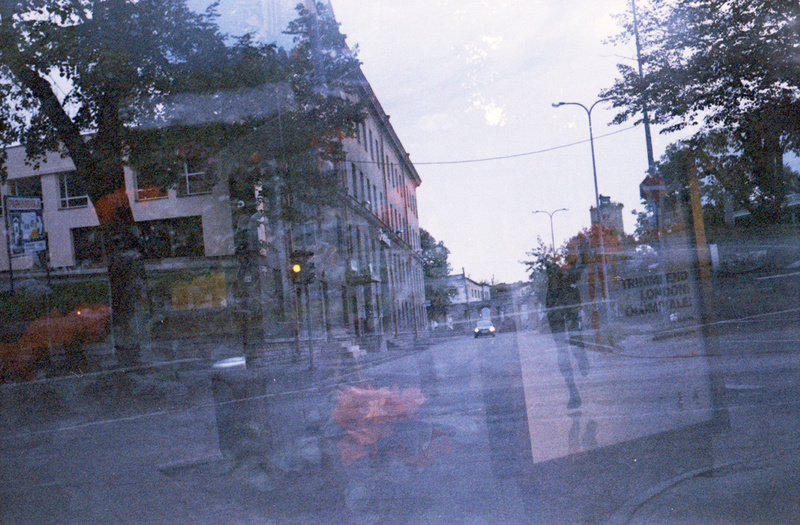 Since then I mellowed down quite a bit – though only in matters that concern photography and do buy Kodak color film if it is cheap, though not their black and white stuff which is pretty awful (in my hands at least). It would be sad to see Kodak go bankrupt and follow other film manufacturers, of which there was a legion, into oblivion. 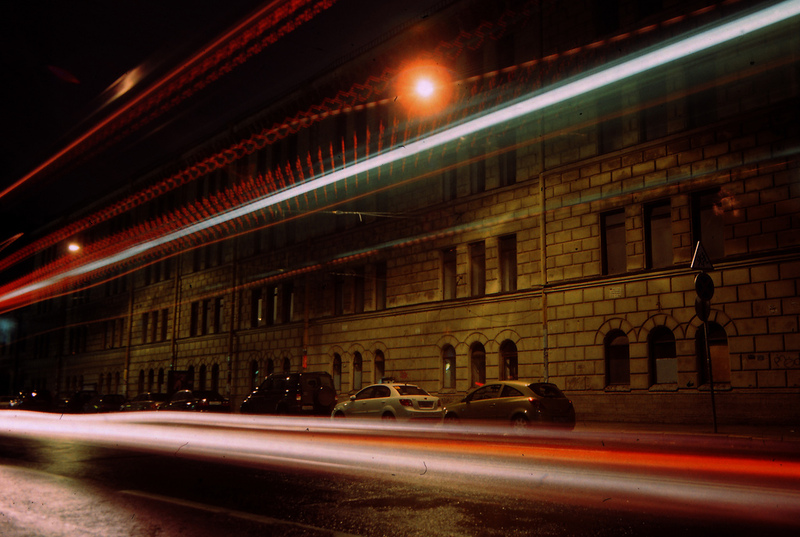 That’s how I missed Kodachrome during its lifetime. 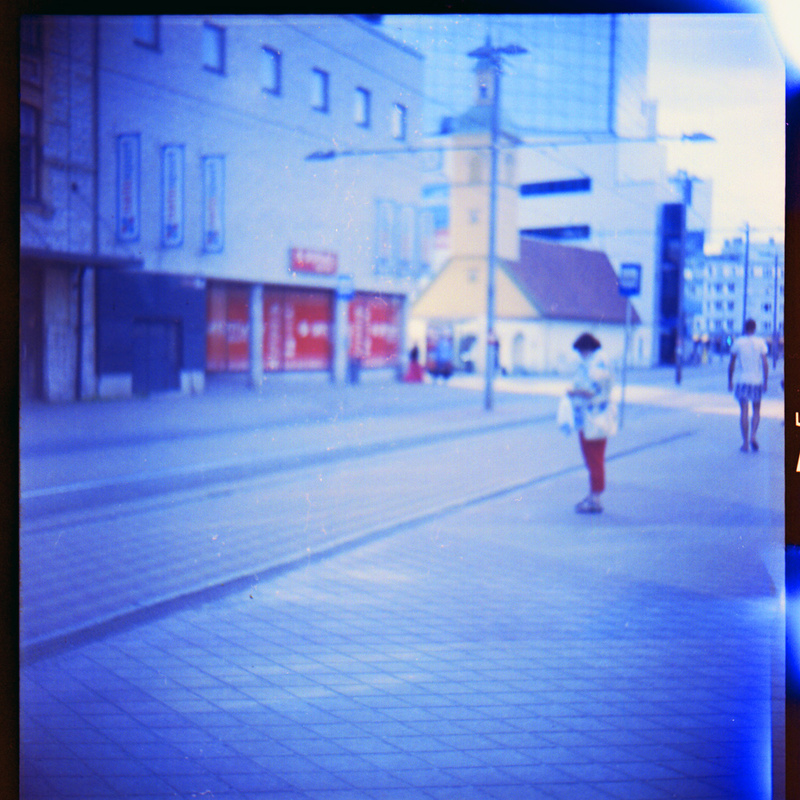 I shot little Agfa and then some Fuji but then went digital even before the wild masses began defecting from film. I remember seeing Kodachrome on the shelves though. 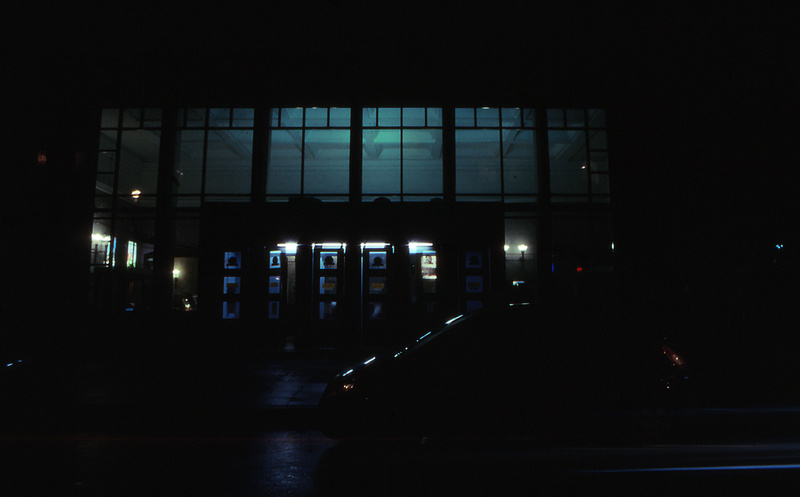 Even in the 1990s Kodachrome was something of a fossil. 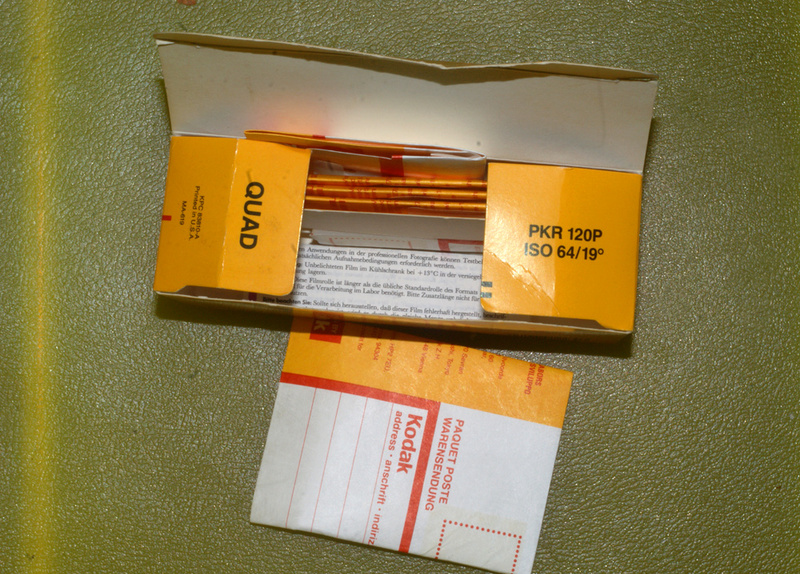 This is a professional 5 roll pack that contained European market Kodachrome 64 in 120 format, manufactured about 1986-1987, expired 1991. This box is in my collection but unfortunately there is no film in it. The box is twice thicker that a regular pro pack as it is divided into two sections - one contained film and the other mail-in processing envelopes. Someone used 5 rolls of film but did not process them. All five envelopes are intact. Each envelope, alas not usable after December 30, 2010, was worth about 10 euros / dollars if sold alone (those envelopes had value!) but I have no idea who bought them as each pack of European Kodachrome contained such an envelop and Kodak only dispatched processed film to non-US addresses. In America processing and optional framing had to be paid for separately. I never got hold of any 120 Kodachrome film though. In Europe it was always sold with a processing envelope (something as I recall Kodak was prohibited from doing on its home turf because of a mid 1950s antitrust law suit that it lost ). 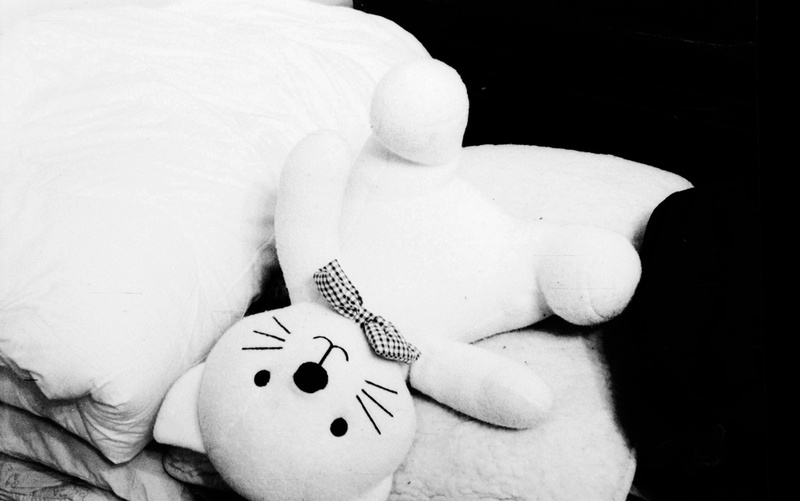 It used to cost – as it appeared to me then – a good fortune. In Europe a roll of Kodachrome retailed for the equivalent of 20-25 euros or for whopping 30 US dollars in today’s terms or perhaps for 20 dollars with parity currency rate. Kodachrome was only sold in “real” old Europe if we were to use Donald Rumsfeld’s terminology – between 1945 and 1991. With the exception of Finland, which is a new state but was in the “Kodachrome zone” this category actually included entire “real” Europe without Russia that existed before 1917-1918. German Democratic Republic aside (on which territory a number of historic German states were located in the past), Soviet Union only held lands of newfangled states that did not exist before 1917. 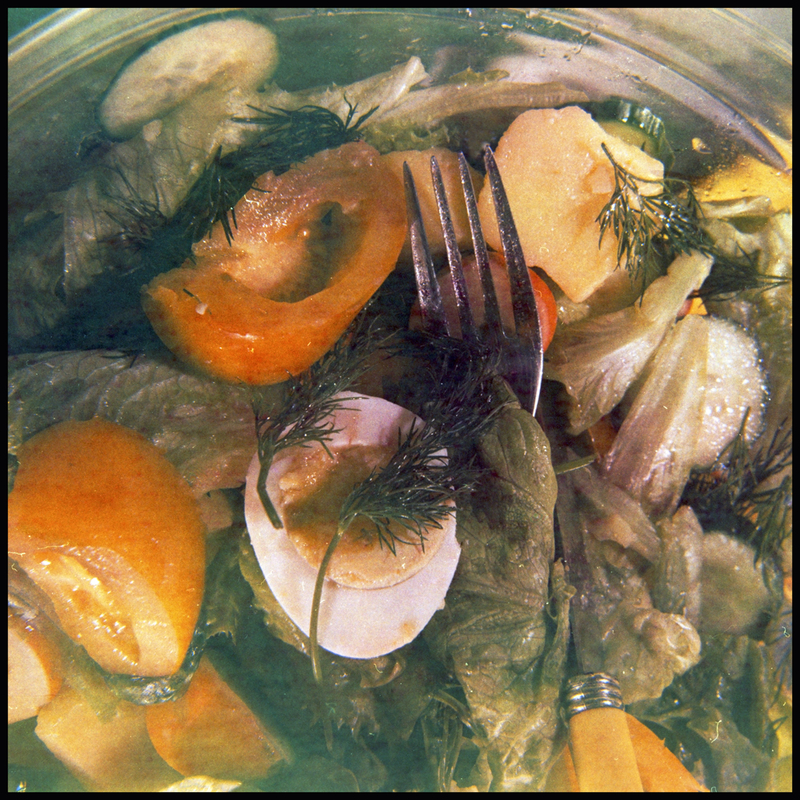 Surface scan of a Kodachrome slide, processed in France (they stopped processing Kodachrome in France in the late 80s or ealry 90s). This slide dates from 70s and comes from my "collection" (a box of unsorted) slides of French origin. 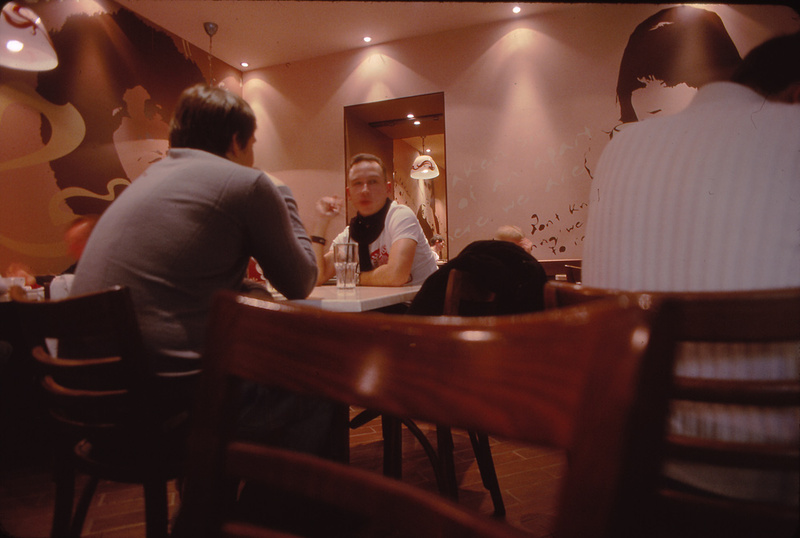 I have no idea whose photograph apparears on it - I just grabbed a random Kodachrome slide out of the box. 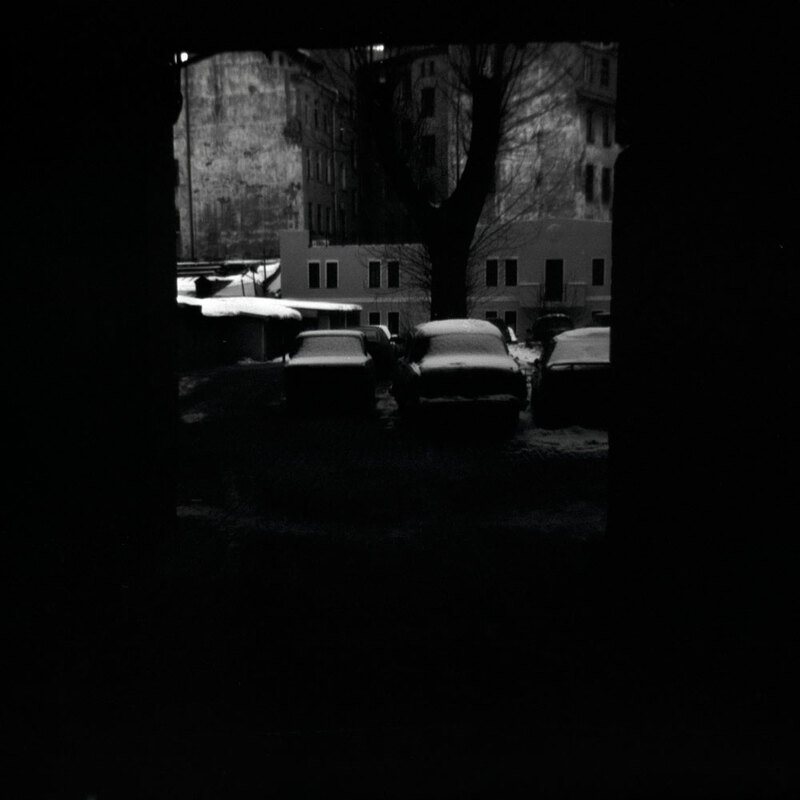 The Kodachrome border ran along the Iron Curtain and that wall that was never breached. Except for the territory of the annexed GDR, Kodachrome was never sold in the former Warsaw pact “states” or in Russia, not even after 1991. That of course was almost of irrelevance because by 1990s only some pros in the USA itself and Kodachrome enthusiasts were shooting this film. 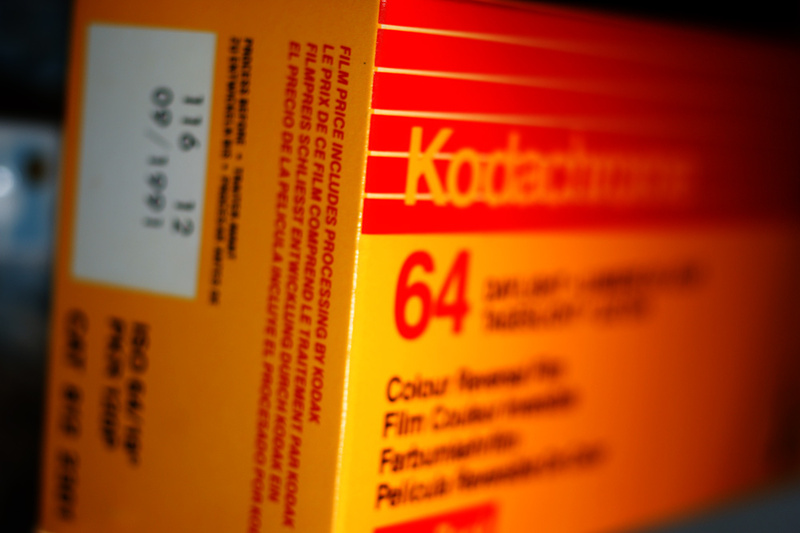 Numerous E-6 process films, probably first introduced by Kodak itself, killed Kodachrome. The price of 20-25 euros in modern equivalent (or 20- 30 US dollars ) might seem outrageous but in really it wasn’t. In America Kodachrome sold for roughly 10 dollars per roll (from 7.99 to 9.99) during the same period of time but did not include processing or framing. European price included processing, framing and return postage. So as it looks now it might have been even cheaper to shoot Kodachrome in Europe than in the US but very few did and at the end Kodachrome’s share of the film market went down to fraction of a percent. In September 2010 I read somewhere, in some online blog or a magazine article, that Kodak has long discontinued Kodachrome and that it will no longer be processed. I didn’t know that. And another thing, I read, December 2010 is the cutoff date. No more Kodachrome after that. Now one disadvantage of the Kodachrome versus its competitors like Agfacolor was that you need to build more or less a factory to process the stuff. As I understand (in the plainest of layman terms) reversible Agfacolor like all subsequent films had its dyes incorporated within three photosensitive layers. 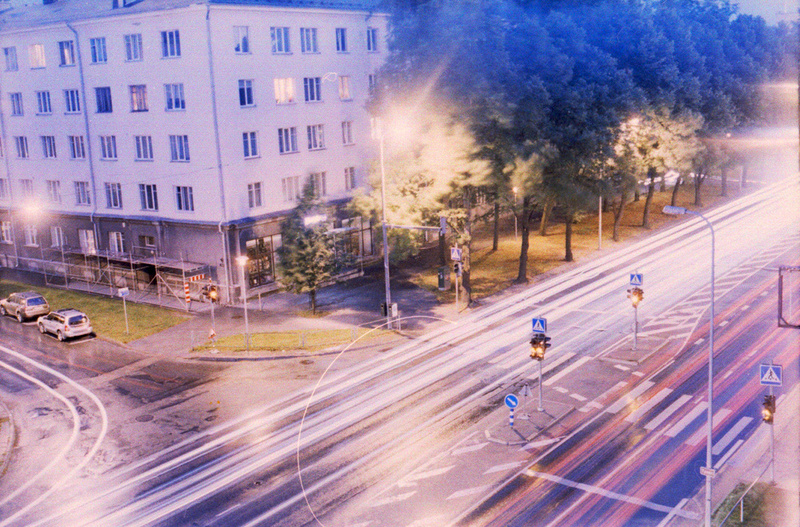 You just need the right mix of chemicals to develop those films anywhere. Kodachrome had an extremely complicated processing procedure where dyes were introduced during development stage. Something that is impossible to do at home no matter how big a home you’ve got. Getting my hands on Kodachrome became urgent. I realized that it is now or never situation and I need to buy a few rolls of Kodachrome immediately or I’ll never process it. I saw old Kodachrome slides from the 40s and 50s, love how the film looks and wanted to take pictures of my kids on Kodachrome as well. I began to look for the stuff on the Ebay, placed random bids here and there, and amazingly got three lots of Kodachrome fairly cheaply – probably for no more than 2 euros per American roll or 3 euros for the European “issue” along with the free processing mailer. That was a good deal because I saw people selling processing envelopes for 5 euros a pop. I have no idea what they did with the film. Already after Kodachrome’s demise I bought a case of Kodak color film (all expired stuff, Vericolor II stuff, some Ektar, lots of film. I haven’t shot yet any from that batch). The precious case contained a retail pro pack of Kodachrome – alas the film was gone but all five mail-in processing envelopes were intact. What happened to the film? Who knows. Prices of Kodachrome nosedived right before November although the stuff that was unsold recovered the value after January 2011 – people sell intact Kodachrome boxes for 20 euros / 25 dollars online which are now of course only good for display purposes (developing the stuff in black and white chemistry is akin to vandalism). 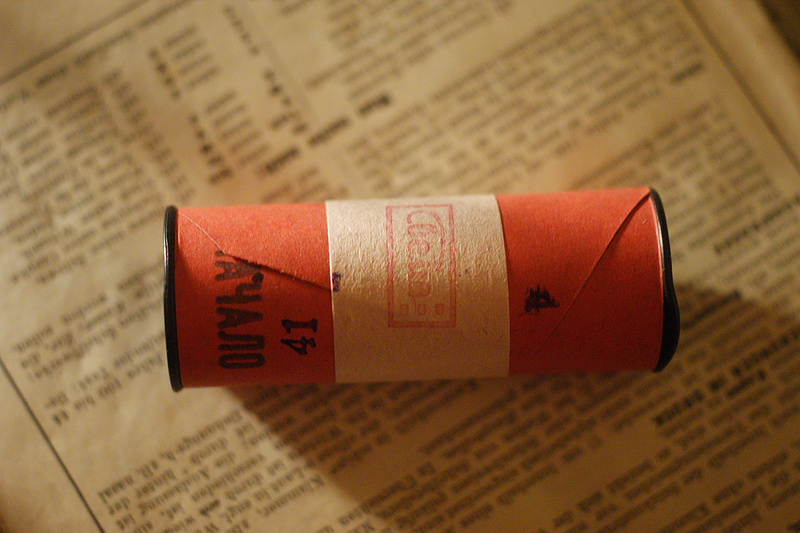 If I did not use my Kodachrome but kept it until today I could have made a small, admittedly a very small, fortune. 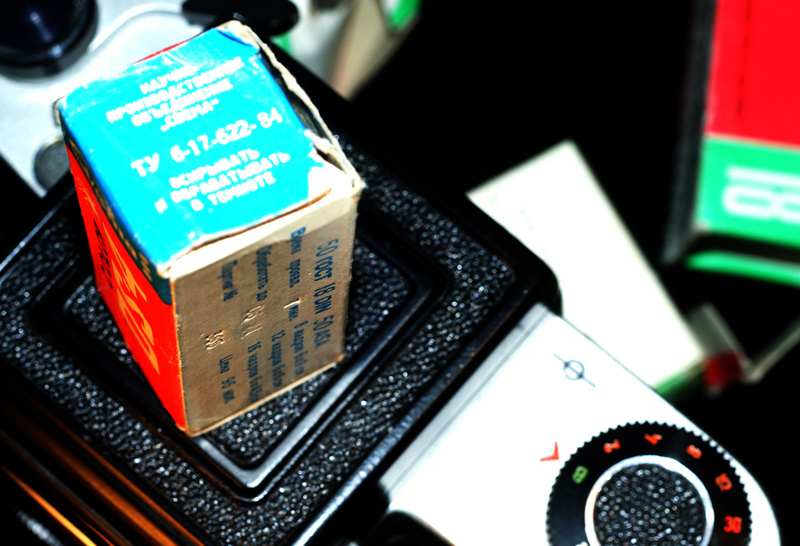 My Kodachrome began arriving in October, I had about a month to waste it. 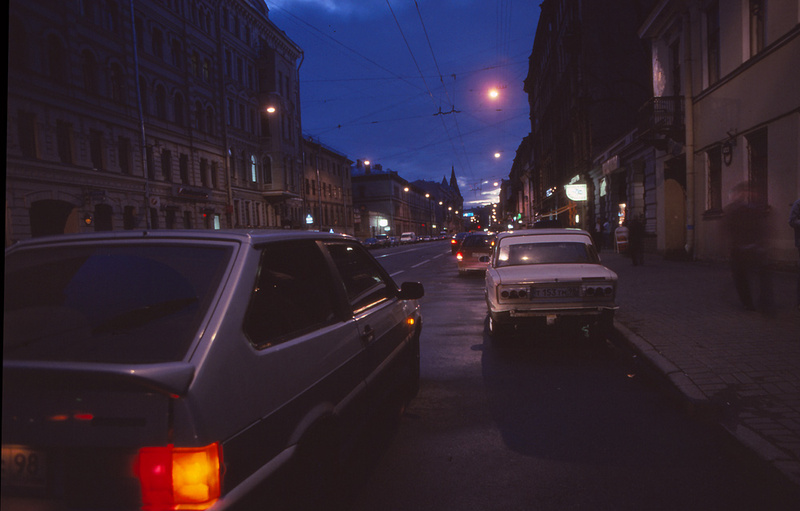 I photographed St. Petersburg, then went with my kids on a ferry to the federal German Reich, then drove straight to Mikulov (Nikolsburg) and after a short stay there proceeded (on wheels) to Italy. By then my modest stock of expired Kodachrome ran out. Because of urgency I felt I have to take pictures fast and with any sort of rush quality suffers. I packed everything and sent it off to Kodak (in Switzerland, that was the last place in Europe that still took Kodachrome and forwarded it to Dwayne’s lab in the states). I got it back right after new year. 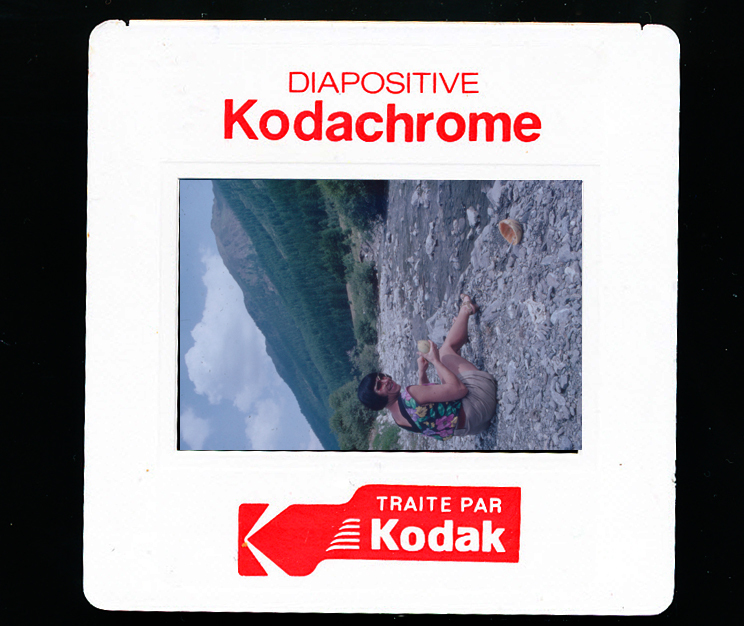 I believe I might have been the last person who used Kodachrome in either Russia or the Czech Republic (where it was never sold anyway). 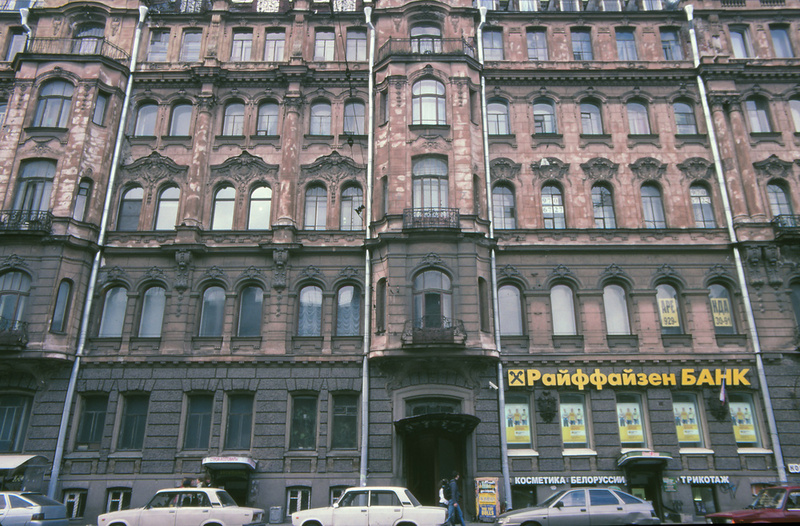 Flickr has few, very few, fantastic Kodachrome images of Leningrad, all taken by tourists in the 1970s and early 80s. Time frozen. But nothing afterwards. I am crazy about historic film and for me the experience of shooting Kodachrome and getting it developed was almost a divine pleasure. 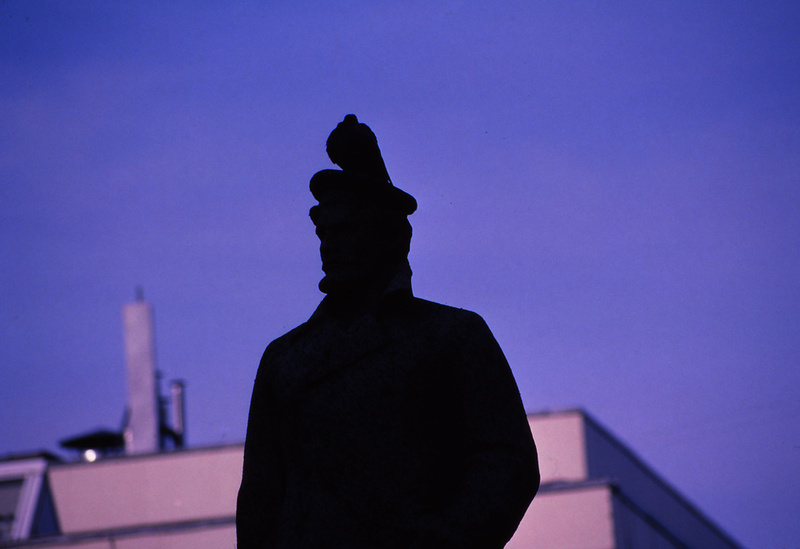 I am also happy that I now got some Kodachrome photos on my own. I am thankful to Kodak that they kept it going for so long. At 75 years (1935-2010) Kodachrome is or rather was the longest surviving photographic process. With its 59 years Agfacolor which later became a ‘chrome (such as German Orwochrom) came second but a disclaimer should be made that it is still possible and in fact is fairly easy to process any Agfacolor / Orwochrom type filmstock at home. If years of film production are to be counted, and that would be fairer, Kodachrome’s lifespan would have to be reduced by a year to 74 but factually by 8, from 75 down to 67 as most of Kodachrome production stopped in 2002. I couldn’t locate any film fresher than that for my experiment. Nonetheless, even with that reduction Kodachrome still outlived its Agfa contemporary by almost a decade. I am unsure if color film stays in production for three more decades from now, that’s how much time is needed for the current C-41 and E-6 films to beat Kodachrome’s longevity record. Dufay / Dufaycolor – France / Great Britain – from mid 1920s to until 1940, about 15 years. 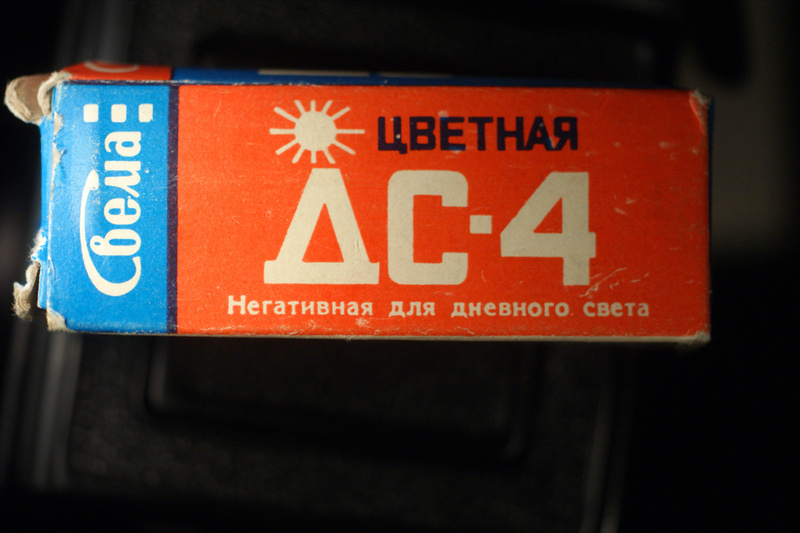 Kodak C-41 and similar international processes (Fuji, Agfa) 1972 until today, the current most common negative process, 40 years, still alive. 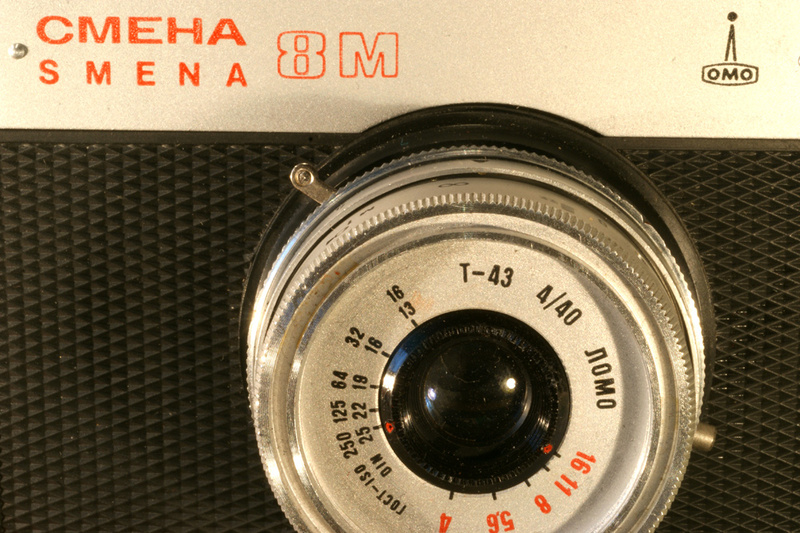 Kodak E-6 and its international derivatives, 1974 until today, 38 years, still alive. 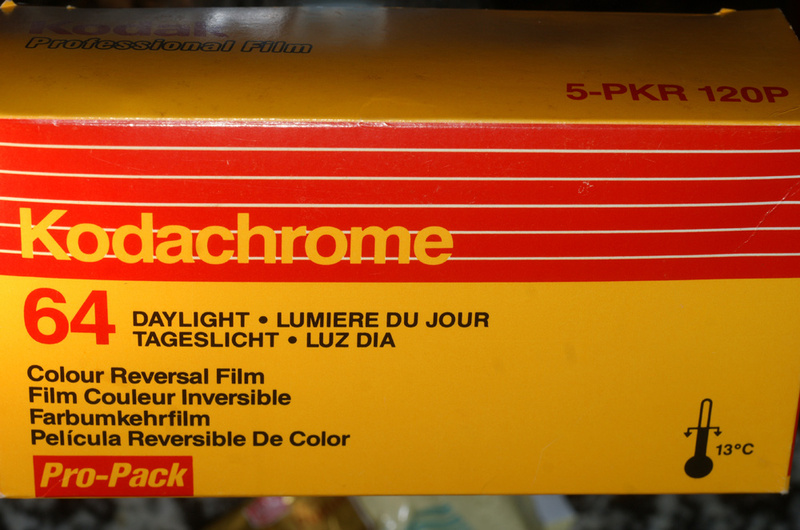 Kodachrome 64 120 5 pack - Kodak officially discontinued the film in 1996 but probably stopped making it even earlier. I got a comment which I would have normally classified as spam, but which in this specific case wasn’t because my previous post was about ORWO films – the message came from someone apparently in the USA who did not introduce himself but might be the distributor of what calls itself resurrected … ORWO. 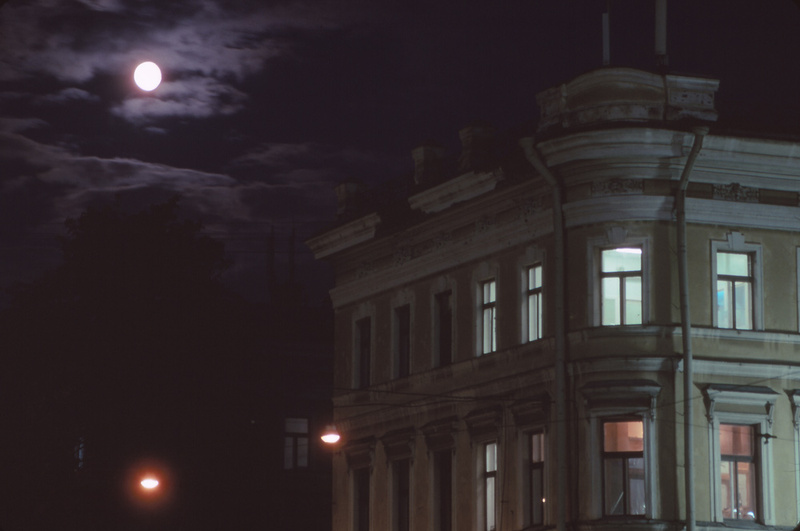 Apparently though the old ORWO is dead and its equipment was destroyed in the wake of annexation of the German Democratic Republic , a new company was formed that continues producing batches of photosensitive film in Wolfen. I will drop them an email (as an ORWO’s long-time fan and devotee) asking what is going on and perhaps ordering a canister of bulk film. 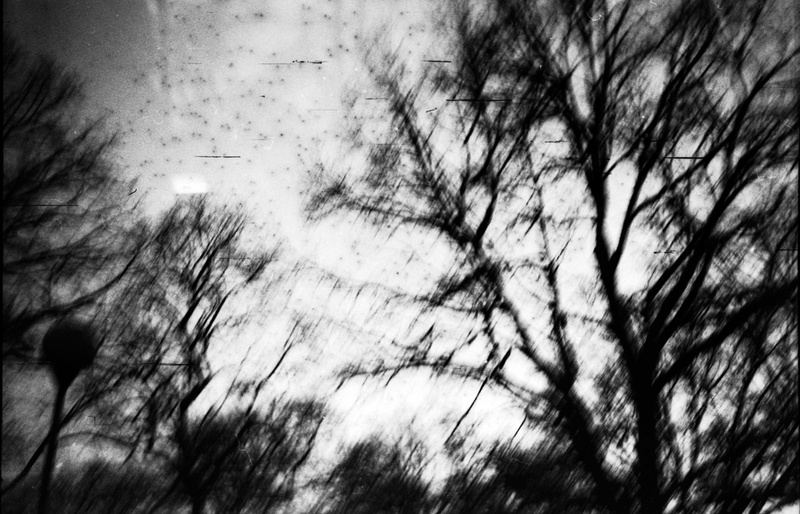 Judging by the “new” ORWO’s current repertoire, they do not make any films in the 120 format, this places ORWO in the same category as more or less defunct Tasma, that now only makes specialty photosensitive products and black and white industrial films. Most manufacturers of photographic film went bankrupt in the last decade (though the old ORWO perished even earlier, right after the Anschluß) and established brand names disappeared . I do hope new ORWO stays around for a while. 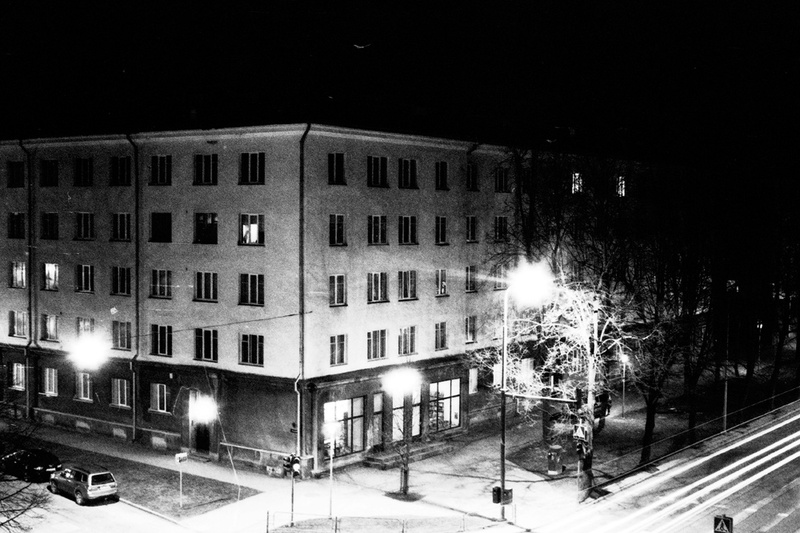 Foma Bohemia – Bohemia, Czech Republic, located in what was Holy Roman Empire, read Germany and then in Austria, in the city of Königgrätz, where the catastrophe of Austrian defeat by the bad guys probably led to what happened in Europe in the 20th century. Tasma, Russia – located in the city of Kazan, Tatarstan, once Tataria, on the Volga, besieged and taken by the Czar Ioann IV (better known as Ivan IV or John IV perhaps more appropriately known as Ivan the Terrible in English though not in Russian) in the year 1552 and Russian ever since. Bergger, France – a boutique producer of sheet film only. I haven’t yet used large format camera but when I venture into this sort of admittedly scary endeavor, I will for sure buy Bergger film and I do hope the company stays around longer than its other compatriots that made traditional film. and finally, and amazingly, bucking the thread shines the bright star of (British)Ilford which survival is a mystery though I wish it well as well and buy Ilford film just to support that company though am unsure if my contribution would be sufficient for to keeping afloat. The picture we get resembles entire EU or rather Europe’s economy, wounded by changes in technology, handicapped by fascistoid ideology, wounded by so-called free trade (with Red China primarily, a very bad thing indeed, an economic and societal equivalent of suicide though self-infection with black plague), something that is neither free nor is trade but an addiction to Far Eastern imports in exchange for paper money or a swap of cheap or almost free junk for consumption in return for progressing unemployment and rapid deindustrialization . Fine, I got carried away again. 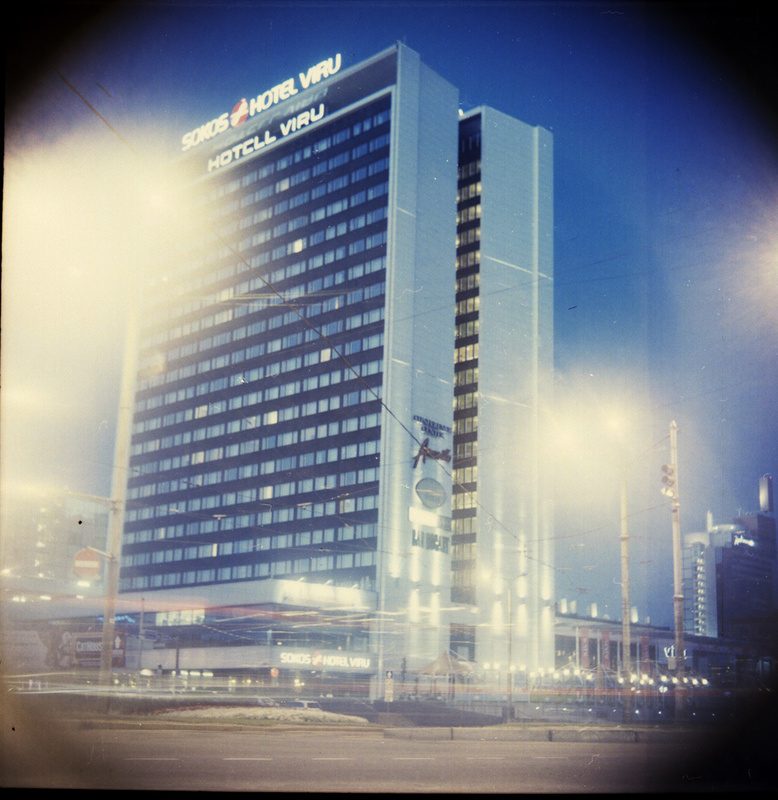 Foton – a manufacturer of photographic film in socialist Poland, new Polish Foton was supposedly using technology and equipment bought from Ilford. 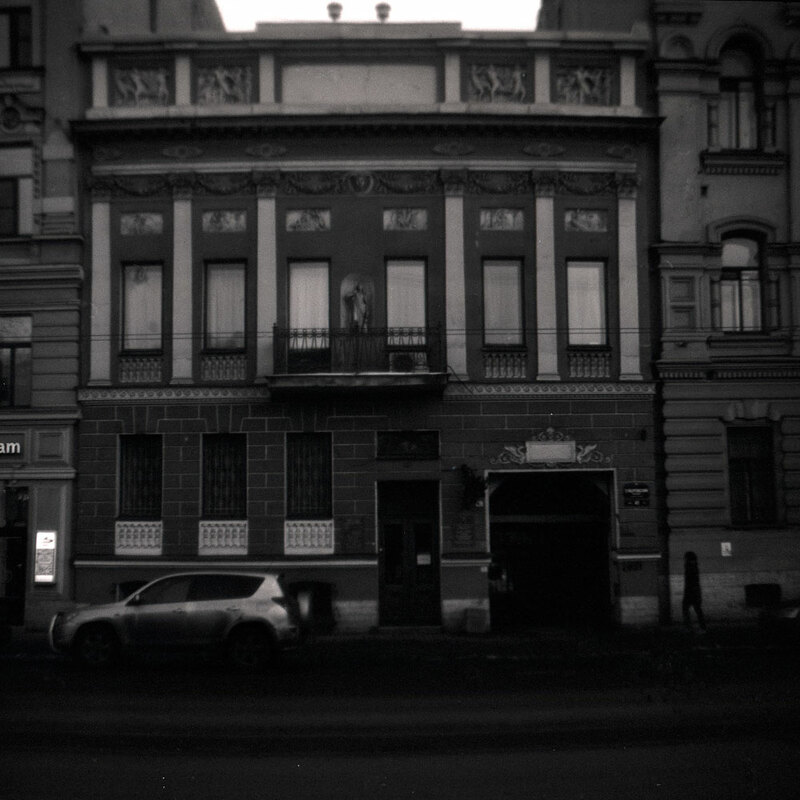 The company was bankrupted during 1990s forced deindustrialization but produced film at Bromberg or Bydgoszcz (Bydgoskie Zaklady Fotochemiczne) probably from the 1920s onward. It is dead now. Perutz, Germany, long bankrupt taken over by Agfa, also bankrupt. Ferrania, Italy, bankrupt, film production stopped. And here is another encouraging hint about future of Franco-Russo-German Europe so to say if geographical location of surviving film manufacturers could be used as a metaphor for anything. Out of dozens of world’s manufacturers – only 3 are outside of Europe – Lucky / Shanghai film in the People’s Republic of China, Fujifilm in Japan and Kodak in the EE although I am unsure either about Shanghai or Kodak while Fuji might still be making film for prestige reasons. Even huge Hindustan film went extinct. that’s the score for entire world, does it remind anything? and the final, final note on the great Orwo news which wasn’t really the news, the so-called Cold War or the struggle between the Good and the Evil is not yet over if photographic film manufacturers longevity is of any use – who in the 1990s, the years of the evil triumphant all over the place, could have possibly foretold that ORWO would outlive then omnipotent Agfa? 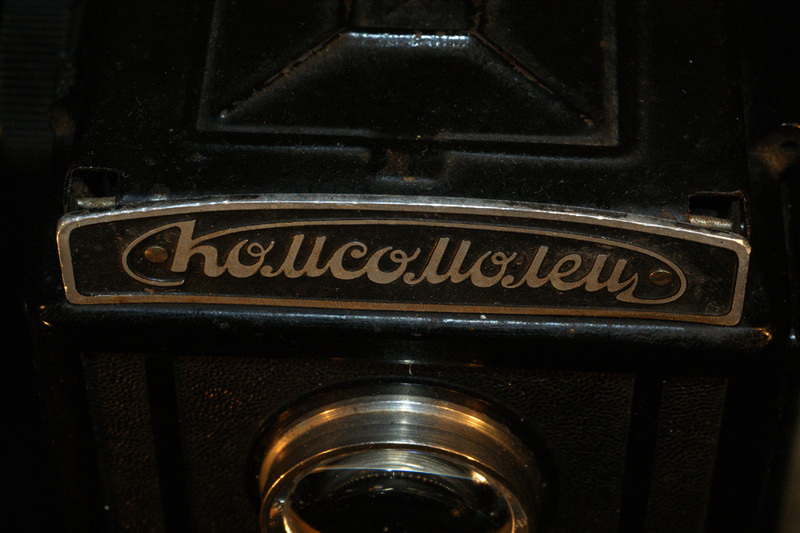 Komsomolec (Komsomolets) is a Russian camera made by LOMO / Gomz inLeningrad,St. 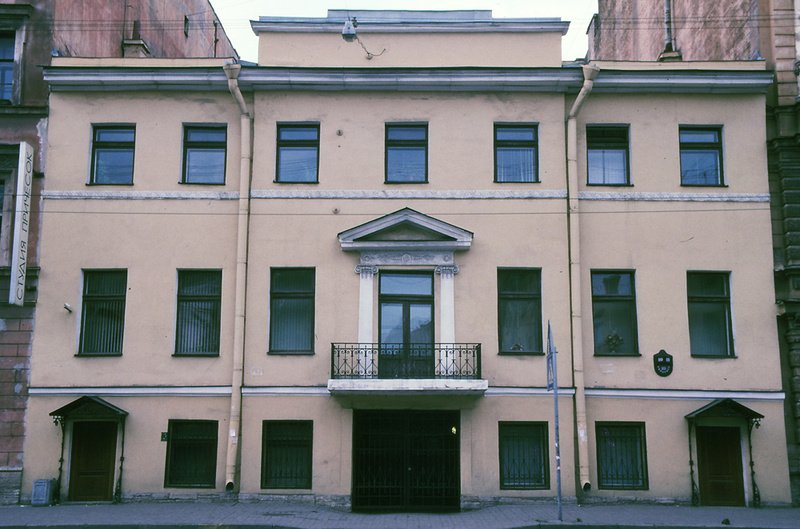 Petersburg, from 1946 to 1951. I own 2 specimens and both are of the 1947 vintage. 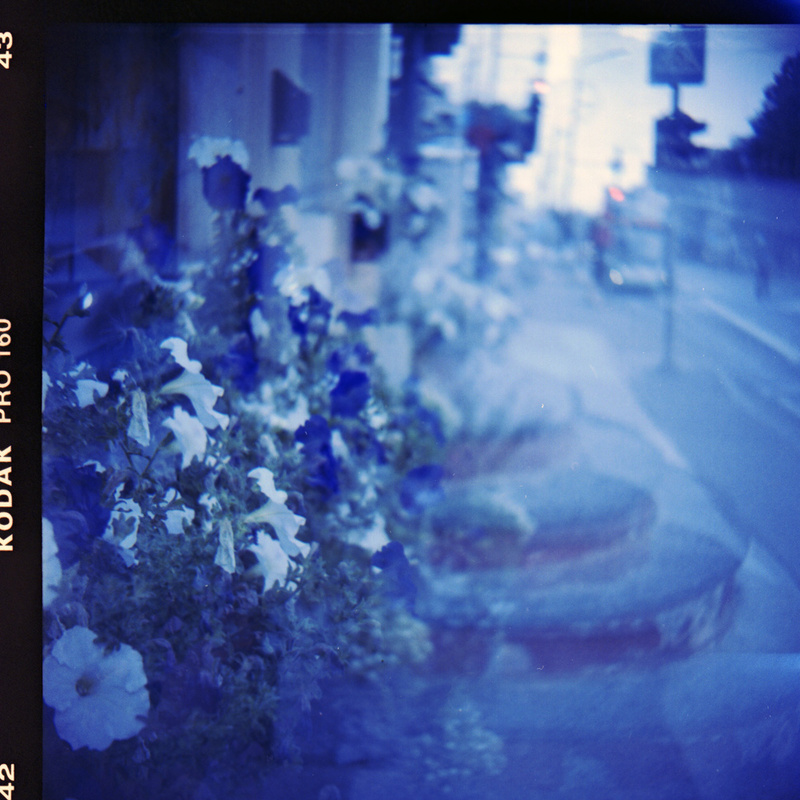 One camera works pretty much like if it were new and the second one has a problem with the shutter. The release lever is loose in its socket, doesn’t fire when it is supposed to but thank Lord it looks fairly repairable, like if someone attempted to disassemble the contraption but then got interrupted by a call from the kitchen and had to put things back hastily together. 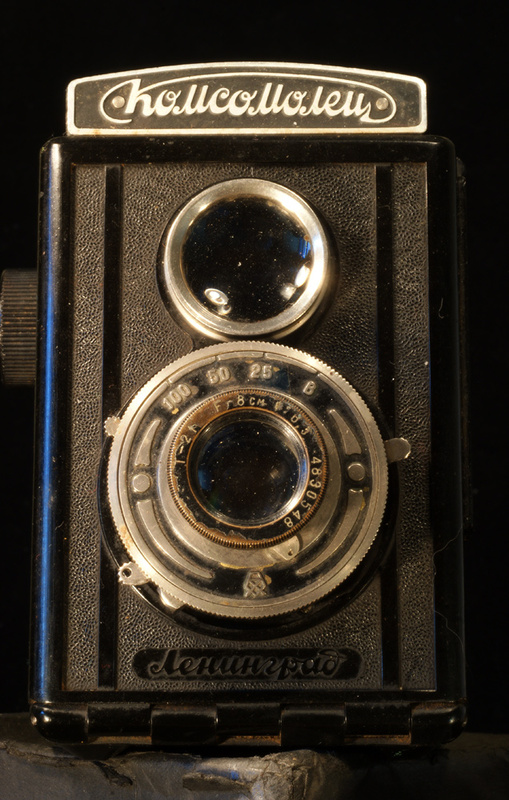 Komsolets is a first postwar consumer camera that was designed and made in a in a bombed out and burnt factory complex located in city that just lost over half of its population to the brutal three year long Nazi siege, one of the most horrific events in the World War. It was sold in a market that was hungry for any photography equipment and would consume anything. 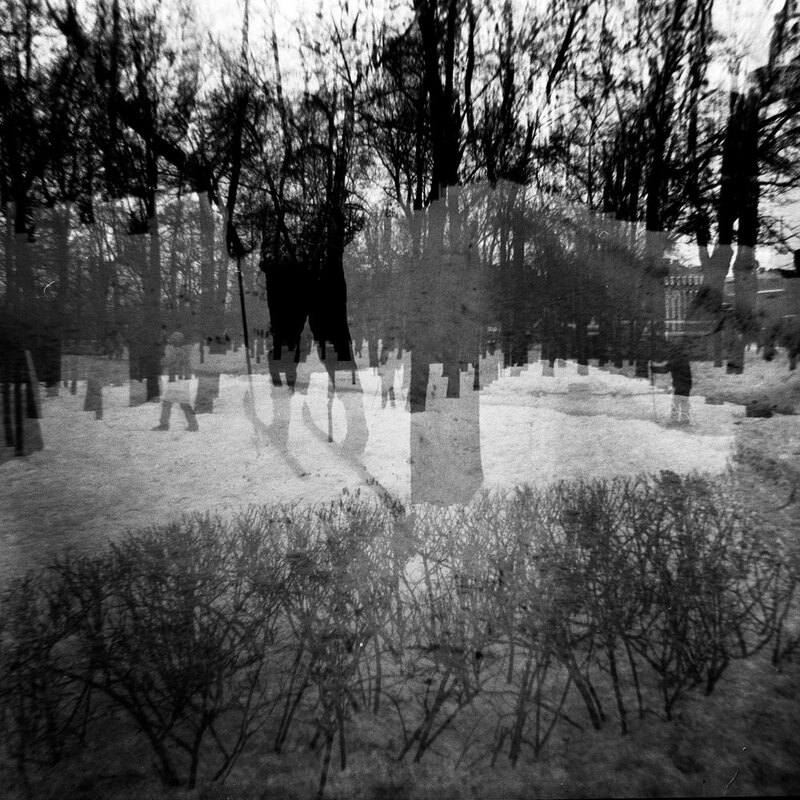 Its history and its appeal has its roots in the siege ofLeningrad, the defining experience for all who survived it (the before and after thing, like the atomic bombing ofHiroshimaandNagasakibecame the before and after moment for its survivors); the survivors of the siege at the Lomo made this little camera after the war. As the Nazi hordes approachedLeningrad, in the Fall of 1941 the Soviet authorities outlawed photographic cameras. Yes they did. 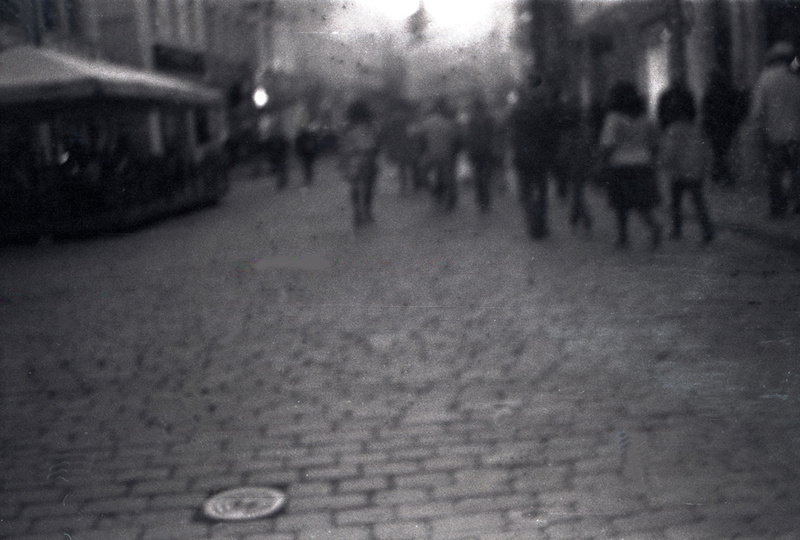 Every inhabitant of the city had to turn in his or her camera. The reasoning of that was fairly simple, there should be no record of what was about to transpire save for the official one. By Nazi hordes I don’t mean the Germans because the invasion of the Soviet Union was an international affair let by a NATO-style coalition which at its utmost geographical stretch may be even exceeded current NATO – fromFinlandtoSpain. WhenLeningradwas besieged the Northern approaches were encircled by the Finns asFinlandwas an enthusiastic Hitler’s ally and a leading Nazi power (more politically correct way of saying this is an Axis power). WithoutFinlandthe encirclement ofLeningradand murder of over one million civilians that ensued would not have been possible. BecauseFinlandbecame Soviet Union’s “friend” after the war all references to Finnish war crimes (which by far exceeded anything Germans did in the territory), political and popular racism or toFinland’s role in the siege ofLeningradwere suppressed by Soviet authorities. The encirclement was complete when southern approaches to the city were seized by the Wehrmacht units supplemented by a motley force that resembled the recent Coalition of the Willing – from Estonian SS murders to Franko’s Spaniards, and from Romanian units to Norwegian SS volunteers. Leningradremained besieged and encircled for almost three years until the siege was broken and remaining the Nazis later themselves encircled and killed off. 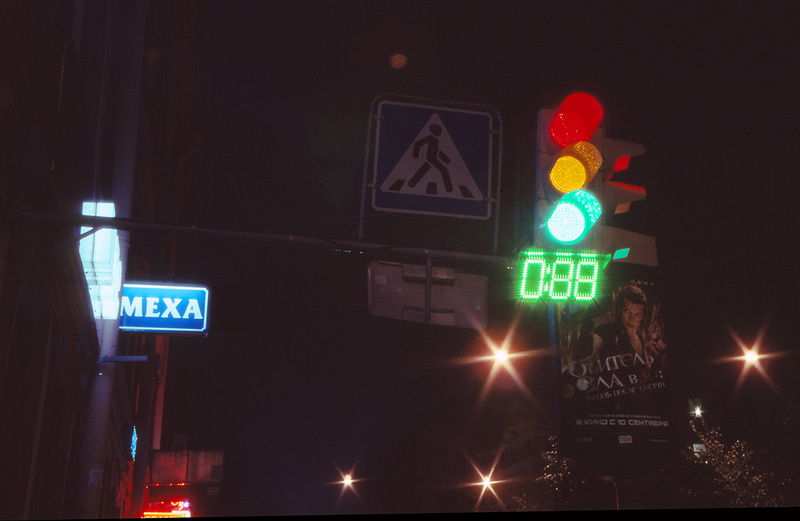 When the Soviet authorities realized that the city is encircled, shut tight in fact, they decided they need to do something about population control. The city had two or two and a half million inhabitants though perhaps almost half of the population had wisely fled by then. My grandmother didn’t. She spent the entire siege in the city from the first to the last day. 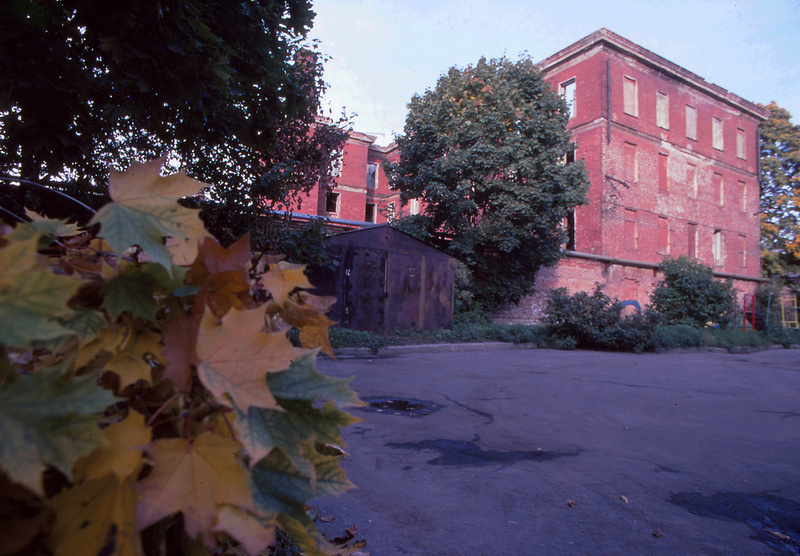 She had to become medical doctor in 1942 but by 1942 the medical school was shut down because there were no professors and no students and the buildings were locked, frozen solid or burned out. She became a doctor of medicine in 1945, the first year the school opened. When I browsed through her photo graduation album, I realized that out of entire group of perhaps 30 fresh doctors of medicine, there was only one, just one male graduate. With the city encircled in the late 1941 the authorities passed emergency decrees confiscating all photographic cameras and all radios. The punishment for disobeying the ordinance was espionage charge and death. 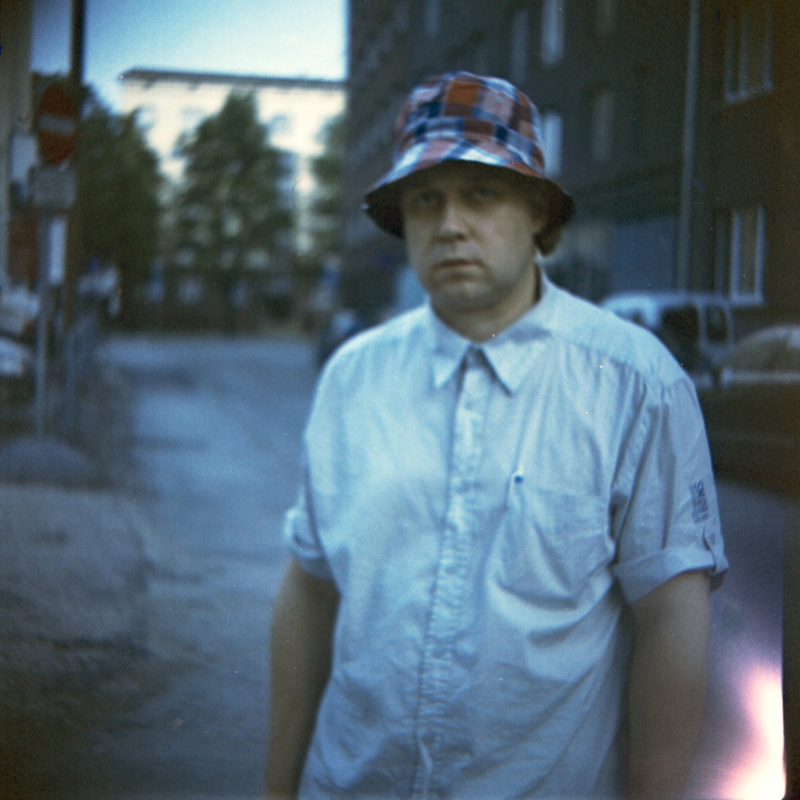 Only one person was convicted of possessing and using a camera illegally, a fellow named Alexander Nikitin, who was turned to the authorities by his own neighbors, as usual, but got a milder five year sentence in imprisonment, possibly of starvation, in a couple of years In 2002 three negatives he took which were kept in KGB archives all these years were professionally enlarged and exhibited as part of a larger Unknown Siege or Unknown Blockade (Неизвестная Блокада) photo exhibition together with photographs taken by reporters whose works likewise were classified and stored in secret archives. Professional photographers employed by Soviet news agencies and newspapers could photograph almost freely but the pictures they took were subjected to military and political censorship with expectant results. Over 90% of all images were classified. Nikitin’s photos (the condemned amateur photographer who escaped execution but instead died from in a camp) show that the authorities were not exceedingly paranoid in their fears of what subjects would amateur photographers pick when they permitted to. 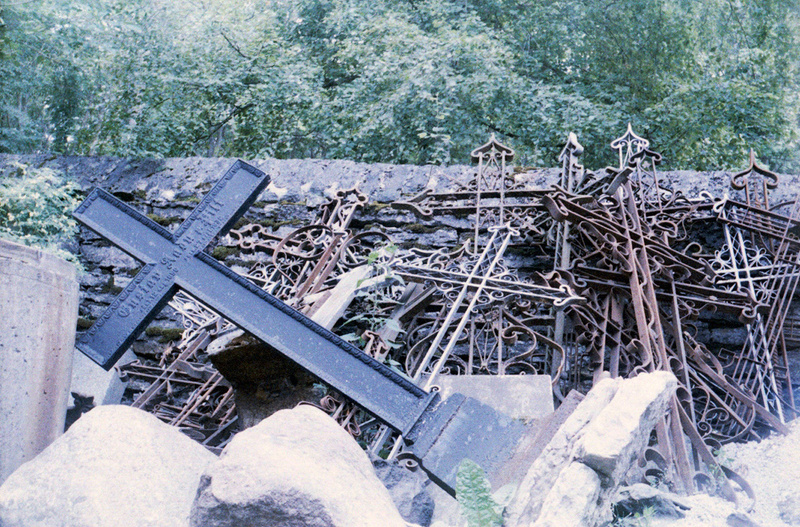 Nikitin photographed bomb damage. There were way worse things to photograph. In late 1941 theLeningradauthorities turned all private phones off for fear that phones could be used to spread panic among large numbers of people. Phones remained turned off until 1944. I became distracted from the topic of Komsomolets camera, which is unique in the way that this was the first postwar camera made in ravished burned out and to a great extent an extinct ghost-like city, and sold to public that was deprived of opportunity to take pictures with own cameras for almost four years. If you did not turn your camera in, there was another problem – film and photographic supplies were unavailable throughout the war. Soviet film manufacturing facilities were located in the territory overrun by the Nazis, were used for the Reich’s benefit and were destroyed at the end. This explains that although there are literally countless tons or tonnes (if those are metric) of war images taken by ordinary Wehrmacht personnel photos from the opposing side are non-existent. All just major German film manufacturers like Agfa and Perrutz operated throughout the war and even provided mail-in processing services for the troops in the field, but like with weapons industries and automotive manufacturing, the entireEuropemade stuff for Hitler and contributed to the Nazi cause. 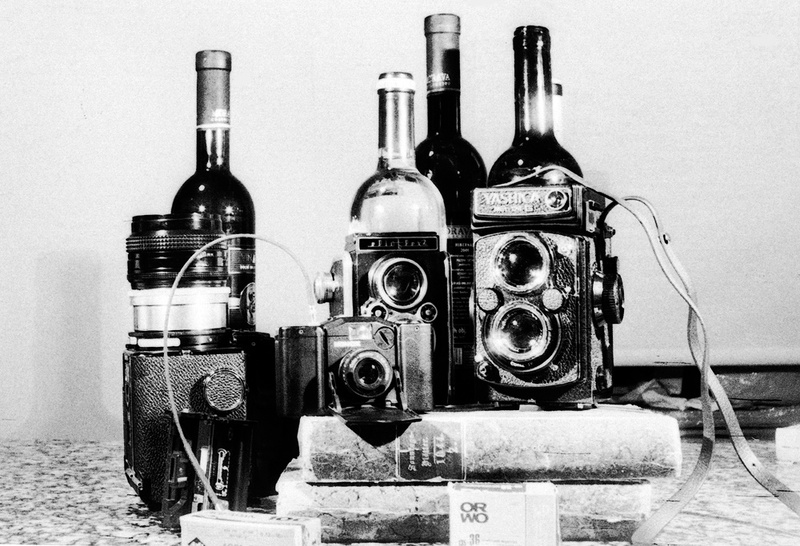 Czech Foma , Belgian Gevaert, Italian Ferrania and Lumiere inFrancemade film stock and supplies until at least the middle of the war when pursuing hobby of photography and cinema became a somewhat lesser priority for the Nazis. The other side left little amateur photographic evidence: Soviet soldiers were not allowed to have own cameras until later in the war but even if they were they was no film except what they could get from the dead Nazis. The 1945 Victory Parade inMoscowwas filmed on captured German Agfacolor stock which then was flown in to defeatedBerlinfor processing. The Soviet experience of confiscating cameras and radios from the citizens inLeningradwas by no means unique. Nominally “democratic” Czechoslovakia confiscated all private radios from its German speaking citizens right before Hitler’s march into Sudenland and in 1945 the “democratic” Czechoslovak state requisitioned cameras and watches along with other valuables from 2.3 million individuals, who were also stripped of their citizenship, all rights to property and then expelled (perhaps as many as 240 000 were murdered because they were alleged to be German). I have no idea what didCzechoslovakiado with all those cameras but apparently they still provide inexhaustible supply of merchandise for Czech antique shops. Komsomolets was a special camera because in the minds of people who made it and who bought it, the Komsomolets signified a return to normal life or to a semblance of normal life. From what I understand the film production was not restored for a few years, so the situation must had somewhat resembled the digital age, getting a film camera was easier than finding film. Komsomolets is supposedly a knock-off from German Voigtländer Brillant. Or rather from an earlier version of Brillant because it is not a true TLR but a fake, a camera that appears like a TLR but is in fact just a box camera with no focusing arrangement, the user has to guesstimate the distance and the top part of the structure with the faux focusing lens acting purely as a decoration..
Why it is supposedly based on Brillant? Well, a number of fake TLRs were produced, most notably in theUS(a number of Argus cameras or Spartus Super R-I) though Komsomolets does remind one of a Brillant in styling perhaps more than other contemporary imitations. Komsolets, a relatively rare camera, is often advertised as a copy of Brillant. Ebay sellers form the former Soviet Union have a tendency to say this less than half truth in their description of the merchandise they put up for sale. Brillant (and I own one or two of those apparatuses) is a better camera. 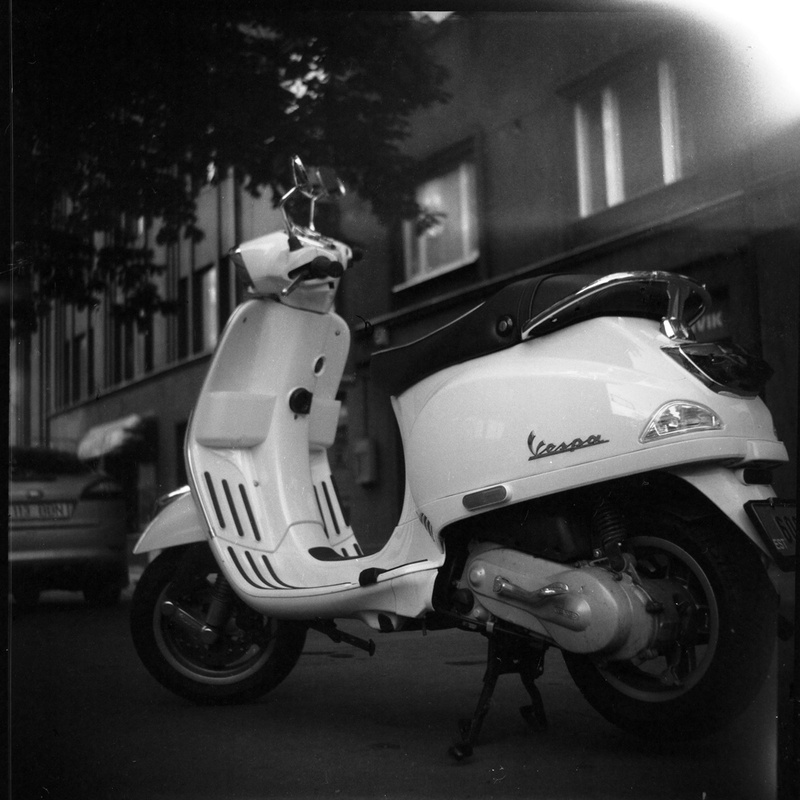 It produces square images that are reasonably sharp without much vignetting while Komsomolets, at least the earlier models that I’ve got, is equipped with the simplest T-21 anastigmatic lens (there was a prewar Czech tank, Skoda T-21, though it was hopefully not related to this pathetic lens). 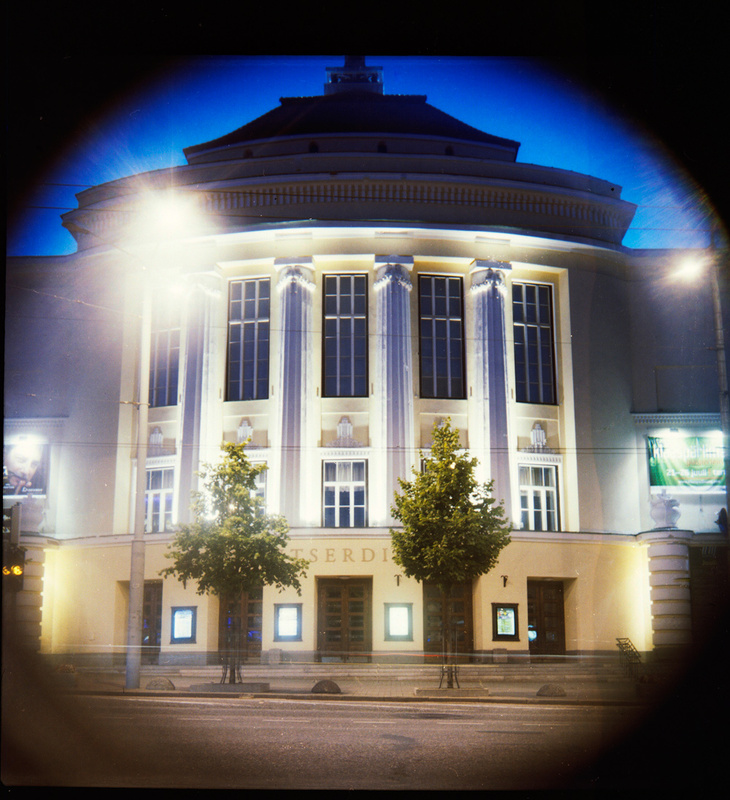 The lens produces horrific vignetting and is quite blurry, perhaps blurrier than late plastic lenses of Holga and Holga-like toy cameras. Though technically not classified as such, for all known purposes Komsomolets is a toy camera that has somewhat complicated controls. Brillant is not a toy – it is a better built piece of equipment that is also more useful than Komsomolec (Komosomolets). 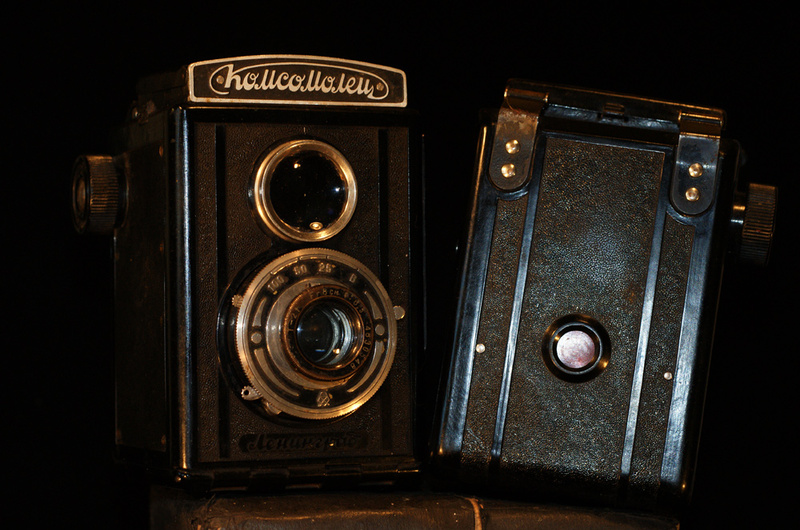 The main difference between the two is of course that most later, post 1937, versions of Brillant were true TLRs even equipped with an exposure frame counter (like the Brillant I have) while Komsomolets is a pseudo-TLR, the upper lens really serves no purpose, in fact it could as well be a box camera. In an inexact translation Komsomolec (Komsomolets) is normally rendered as a Young Communist. That product name alone would be shocking to Nazis and Americans (especially of the 1950s variety, when the USA assumed the role of the global anti-Communism crusader and accepted Third Reich’s heritage it preserves so diligently and the role it so dutifully carries forward until this day) but at the same time the name was of course totally innocent sounding to most Russians of the era. Now it does strike one, even a Russian speaker, as both grotesque and dated. Komsomol is syllabic abbreviation that meansUnionof the Communist Youth and Komsomolets is a masculine noun produced from that abbreviation. Komsomol had members as young as 14 and membership in Komsomol could have lasted until early 20s (officially and much later the age was extended to 28 to keep older functionaries in place). Since a Komsomolets was someone in his or her teens, it is obvious that the camera was targeted at the group of very young users. Why did Lomo or Gomz decide to develop a fake TLR is beyond comprehension . In capitalist economies of the day where matter of market prestige was important, the advent of fake TLR or pseudo TLR was understandable or can at least be explained rationally. A person who could not afford an exorbitantly expensive Rolleiflex or even Rolleicord, or other great twin lens reflex cameras made in other countries like Semflex in France or Microflex in Britain, could always buy a fake TLR and look like the rich fellow in a Horch (Citroen, Rolls Royce) who had the real thing: a fake TLR from the 30s and 40s as a progenitor of fake mobile phones from the early 1990s. Prestige pressure was probably not that great in the Stalinist Soviet Union, especially in respect to a product made for kids and young adults, and the manufacturers could have just saved some raw materials and labor and produced a very good box camera instead but for some reason the designers at Lomo – and the party apparatchiks who had to approve every decision at the planning authority – went along with a fake TLR. Perhaps even they thought it would be cool to give survivingLeningradkids a visual resemblance of something that at least looks like a Rolleiflex. 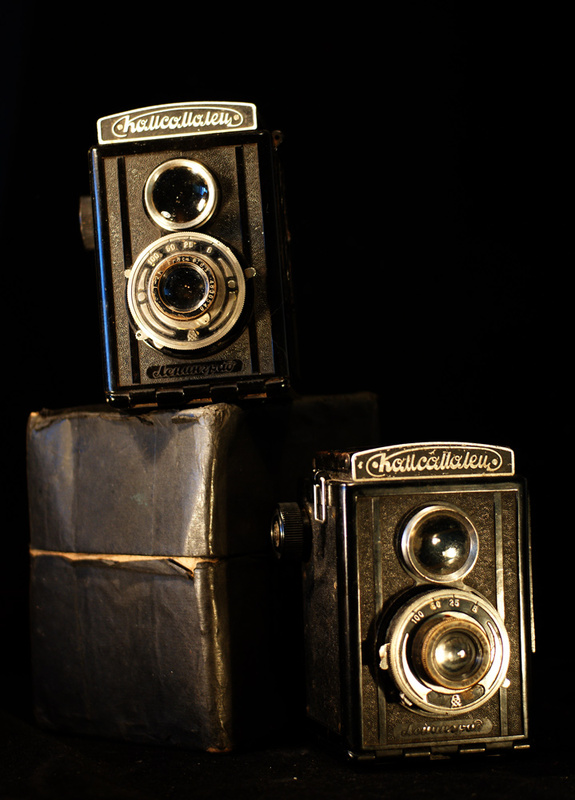 Nonetheless, the body of the Komsomolets (that sounds quite macabre) was later used for producing the first generation of the Lubitel cameras. A Lubitel means an amateur in Russian which, like in the original French sense of the word amateur, signifies someone who loves the thing he does, like photography, but not necessarily does it poorly or inferiorly to a pro, who in turn can be quite inferior to a good amateur in all respects, the difference between the two is that a professional who does the work for money, a photographic mercenary, while an amateur is someone who does it out of sheer pleasure or love (for the occupation and art of photography in this case). Obviously in modern American English the meaning of the word has somewhat mutated from the value of its original French importation and the amateur now is just somebody who is a dilettante. Unlike Komsomolec the Lubitel that followed it was a true TLR and quite remarkable photographic instrument considering its very low retail price. Komsomolets is a twin lens reflex camera that uses 120 format film and produces 12 images in the so called 6×6 format. 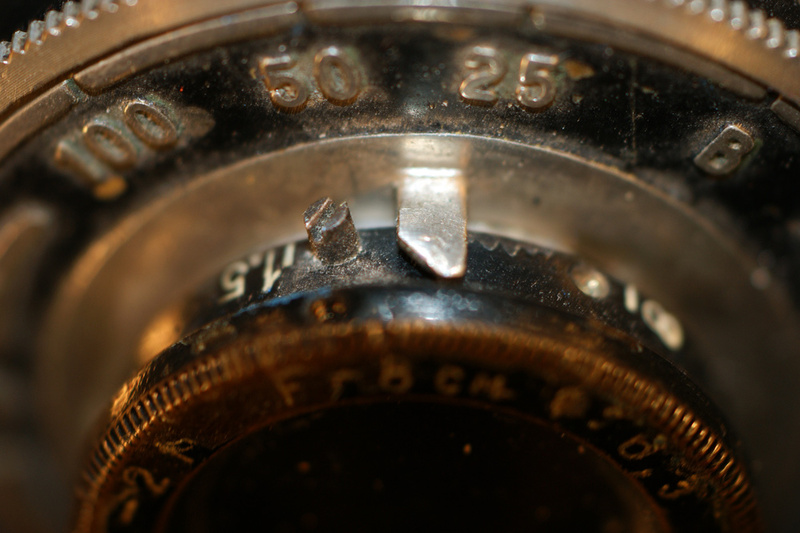 From 1946 until 1950 the first two versions of Komsomolets cameras were equipped with simplest T-21 (Triplet) lenses. The lens was 6.3/80 and had centrally built shutter (had to be cocked manually before each exposure) , and a modest exposure range of 1/25, 1/50, 1/100 and Bulb. 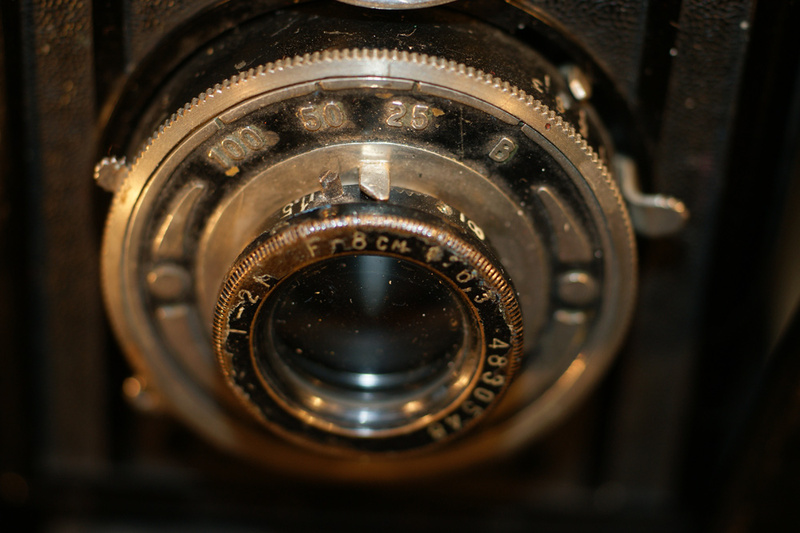 The last, 1951 model, came with a much better T-22 lens, the same lens was used in the early Lubitel cameras. The very first models of Komsomolets were supposedly equipped with a mechanical frame counter, I never saw a specimen of those mythical species. These are proto-Komsomolets. 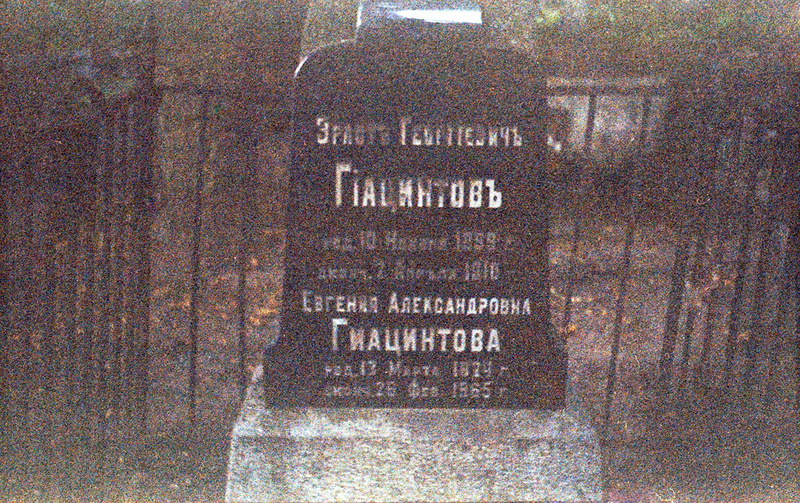 The second version of Komsomolets, known as the Model I or Issue I (Выпуск I) – and from 1946 to 1948 had the inscription Ленинград (Leningrad) underneath the lower lens, I’ve got two of those and had one tested with film. The third one, named Model – Ia or Issue – Ia (Выпуск Ia) was identical to the previous model but had no wordLeningradunderneath the lens. The last one or the Model II or the Issue II ((Выпуск II) had a different T-22 lens and was replaced by the Lubitel in the year 1951 (Lubitels were made from the year 1950 onward so for one year at least Lomo made both Komsomolets, a pseudo-TLR and Lubitel, a real TLR in the same body, concurrently). In total almost 400 000 Komsmomolets cameras (some 370 000 to be precise on official count) were made. 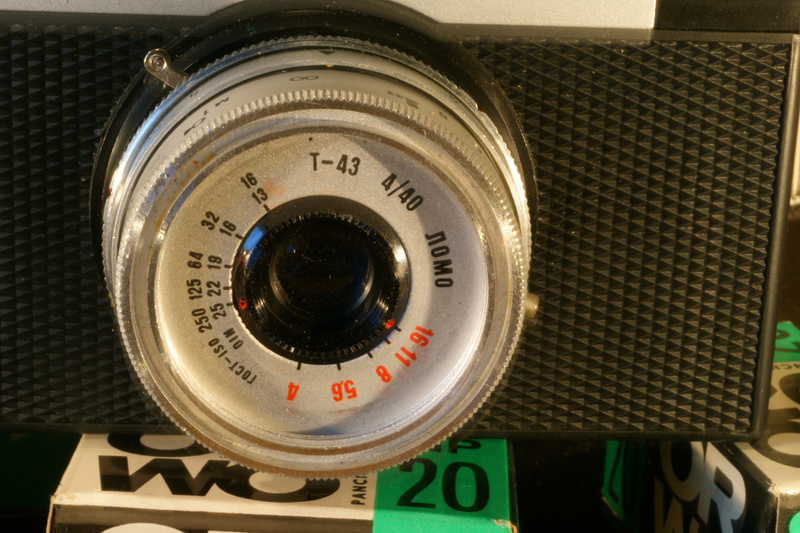 Komsomolets (Komsomolec) cameras, at least the first models with T-21, are a photographic curiosity. 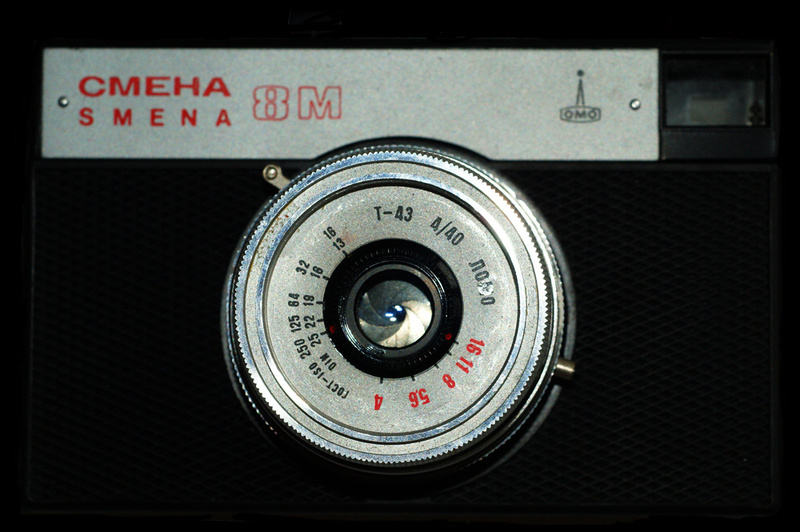 A collector of Soviet cameras might buy one for his or her collection but as far as photographic capabilities of the cameras are concerned, they are quite limited. If one is to shop for Komsomolets with practical photography in mind, I would suggest getting the last year model with a T-22 lens but better still go for a cheaper and more capable Lubitel. With shipping on Ebay Komsomolents would cost an international buyer anything from 50 to 100 euros. The price inRussiaor formerSoviet Unionstates would range from 30 to 50 euros, therefore this piece is more expensive than far more capable Lubitel. 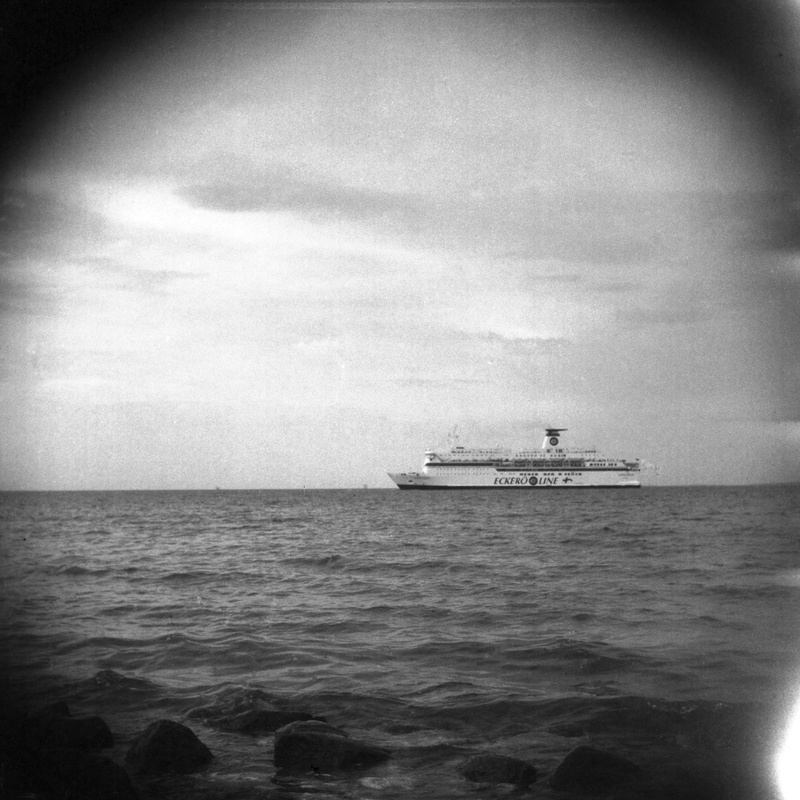 Komsomolets like early Lubitel uses 27mm (supposedly) push-on filters but Rolleiflex 28.5 filter fits as well. A way to reduce vignetting somewhat would be getting a lens hood (27, 28 mm lens hoods are readily available).